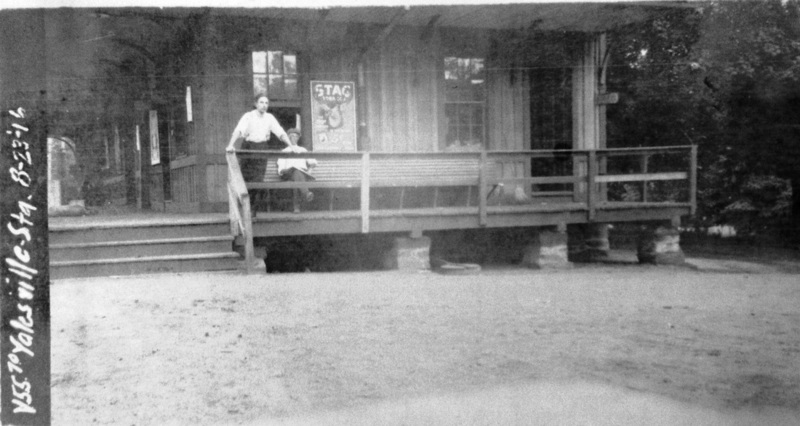 See TCS Home Page links for information, abbreviations, and sources. 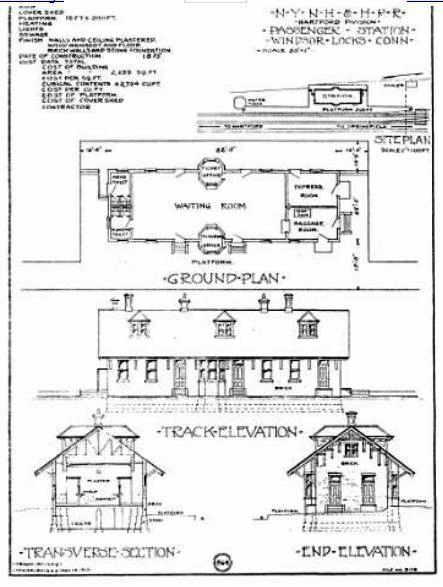 Use Track 11 to map link locate stations, rail and trolley lines, and POIs. 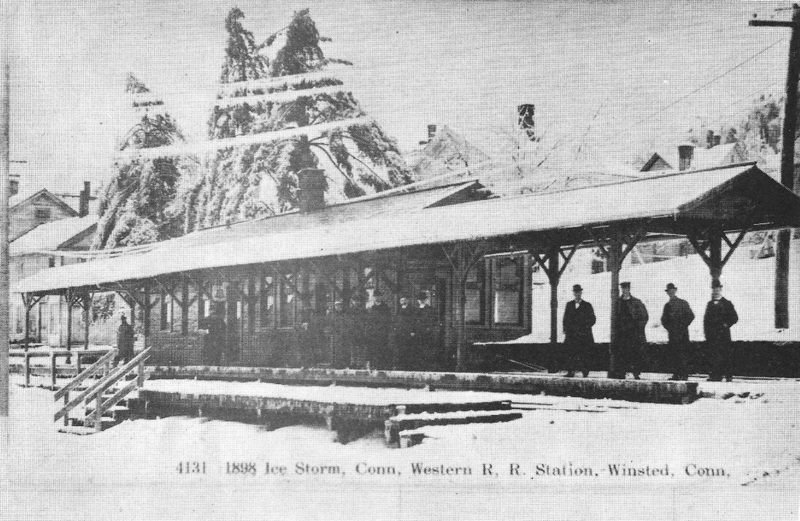 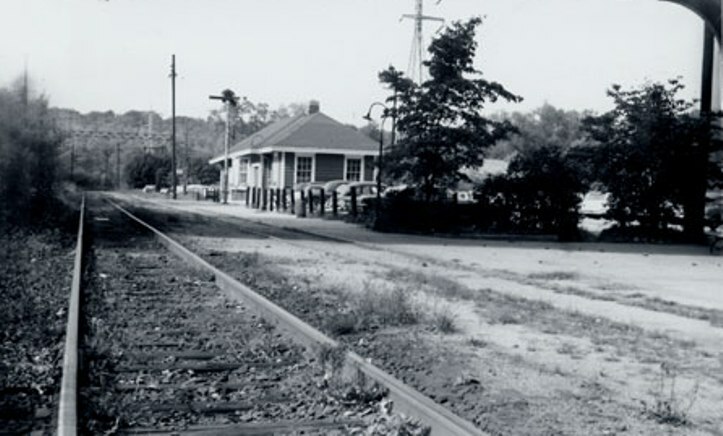 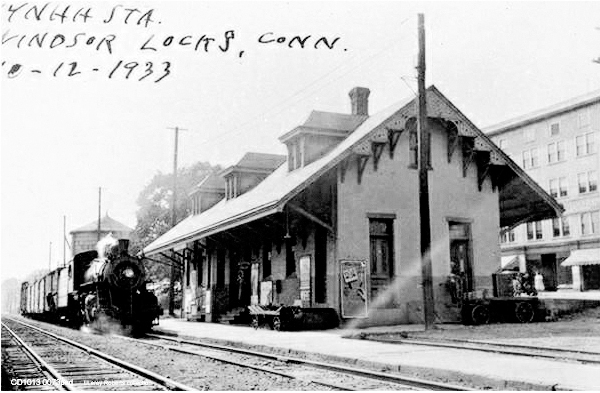 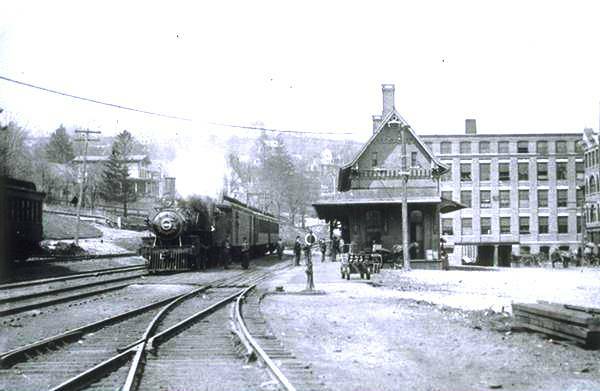 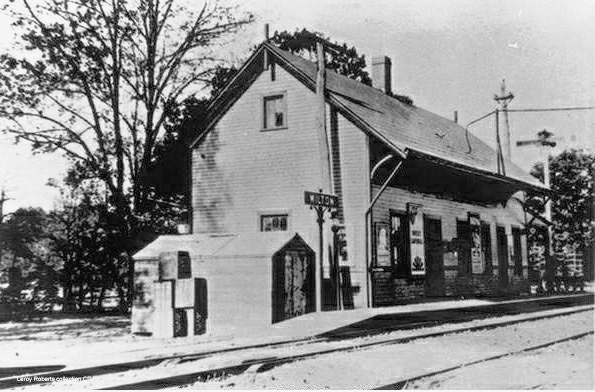 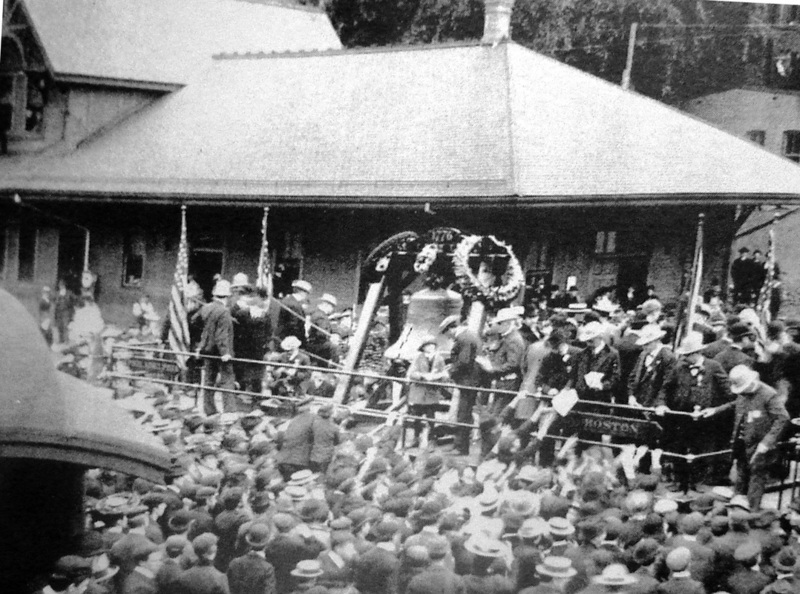 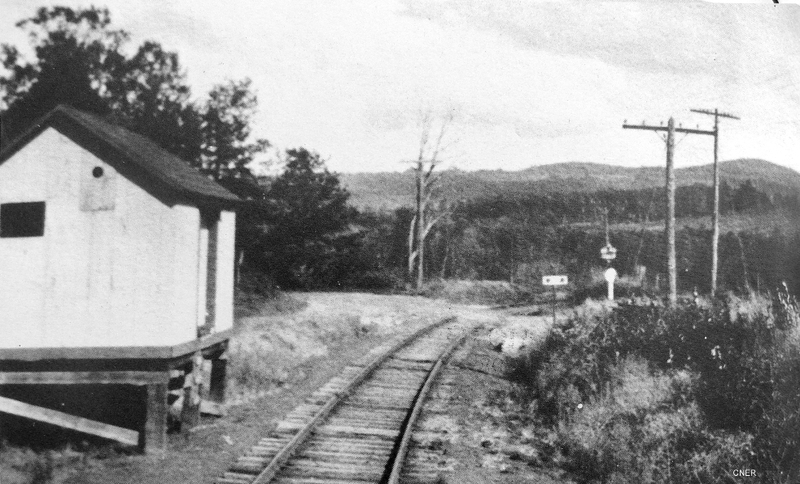 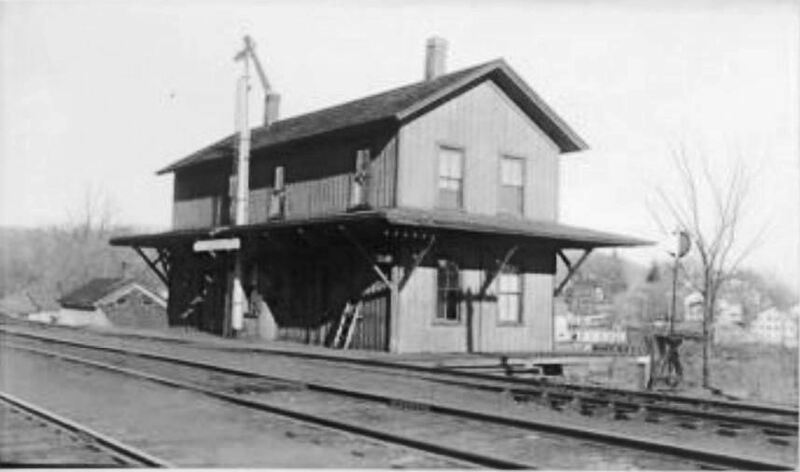 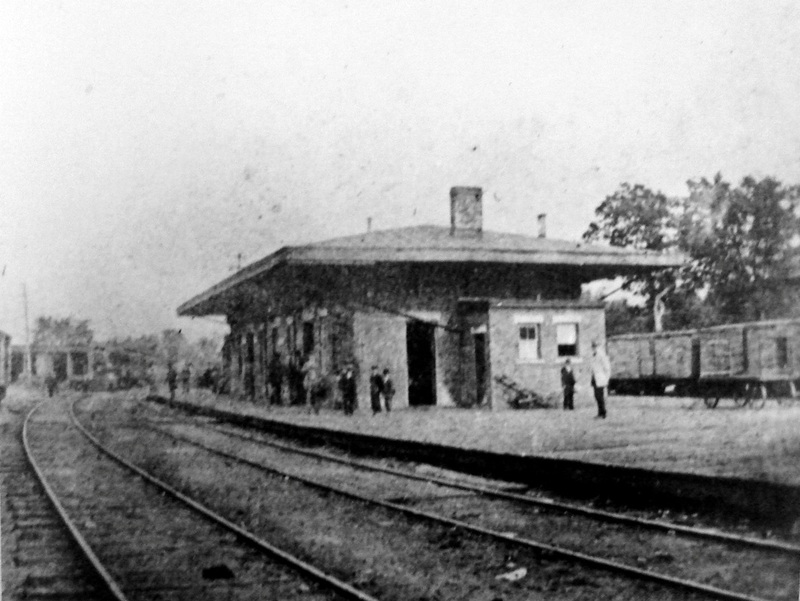 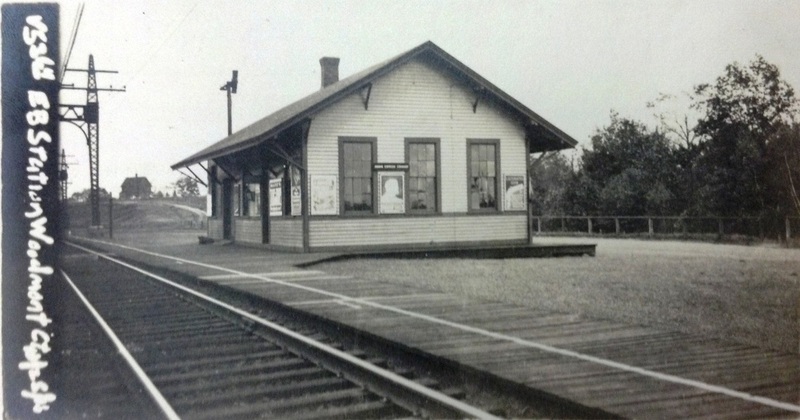 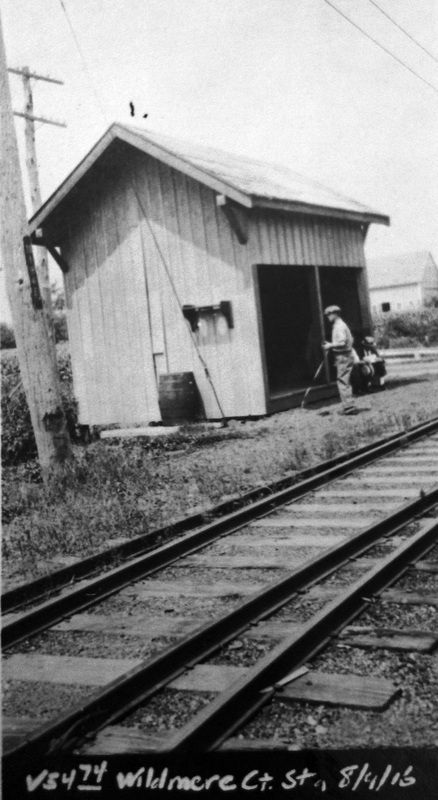 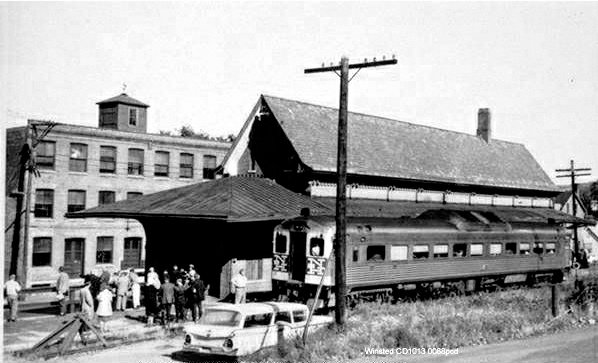 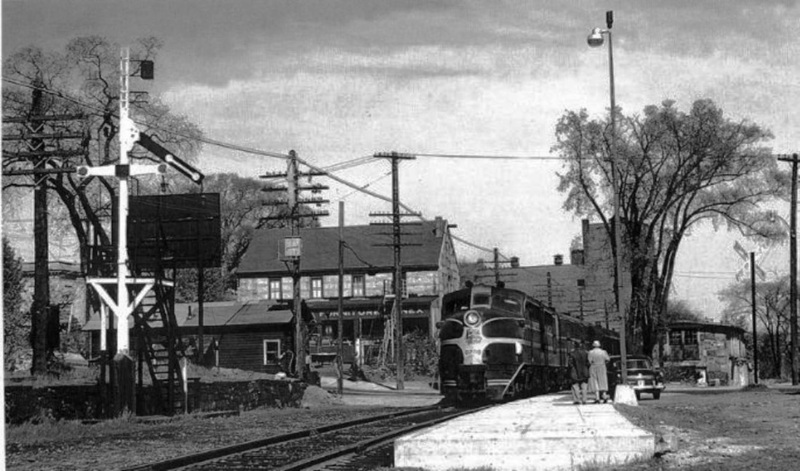 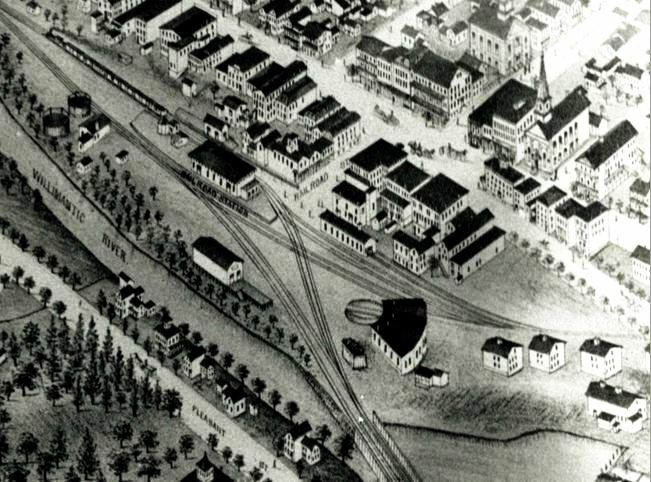 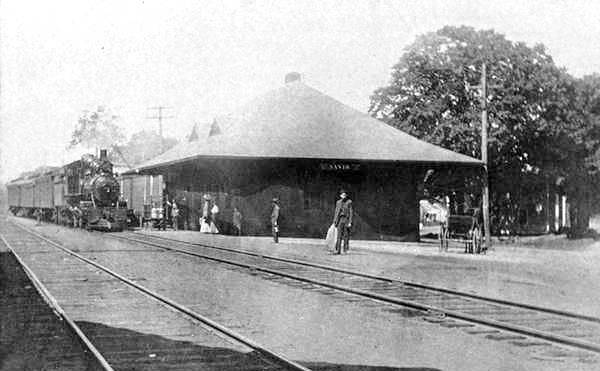 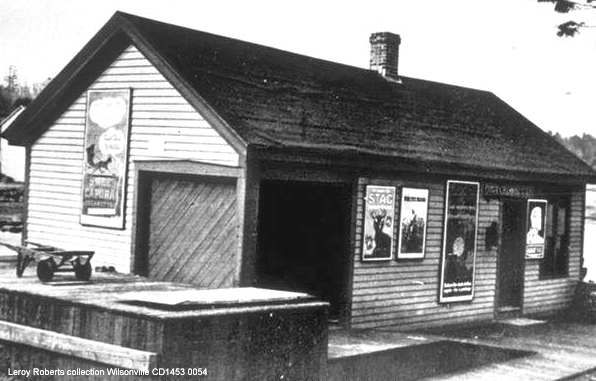 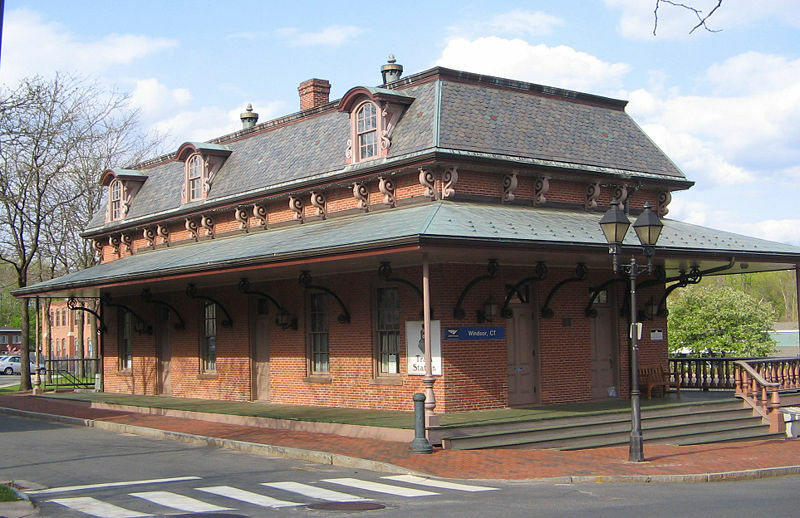 Station in the town of Plymouth established by the HP&F in 1855. 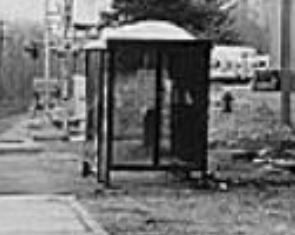 No photo yet found. 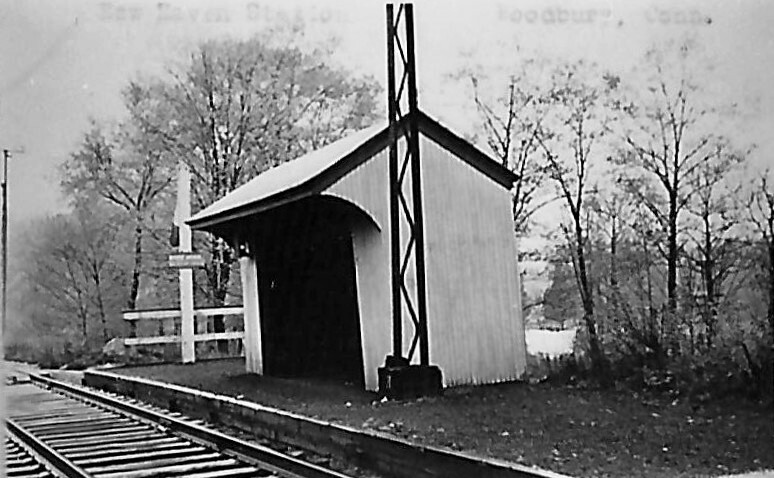 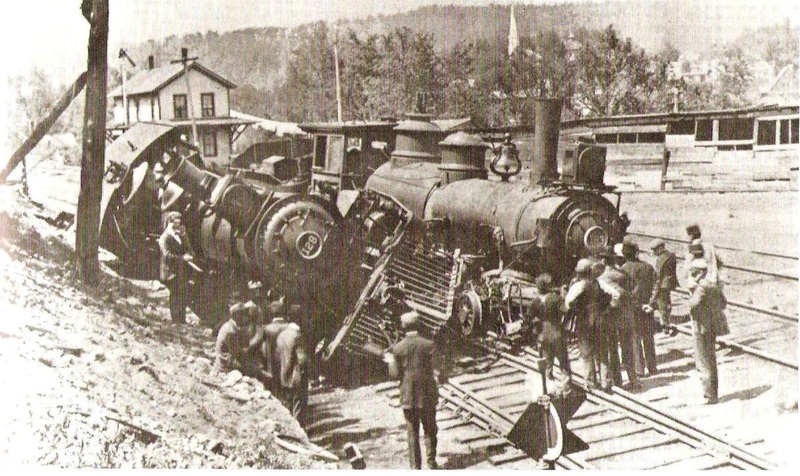 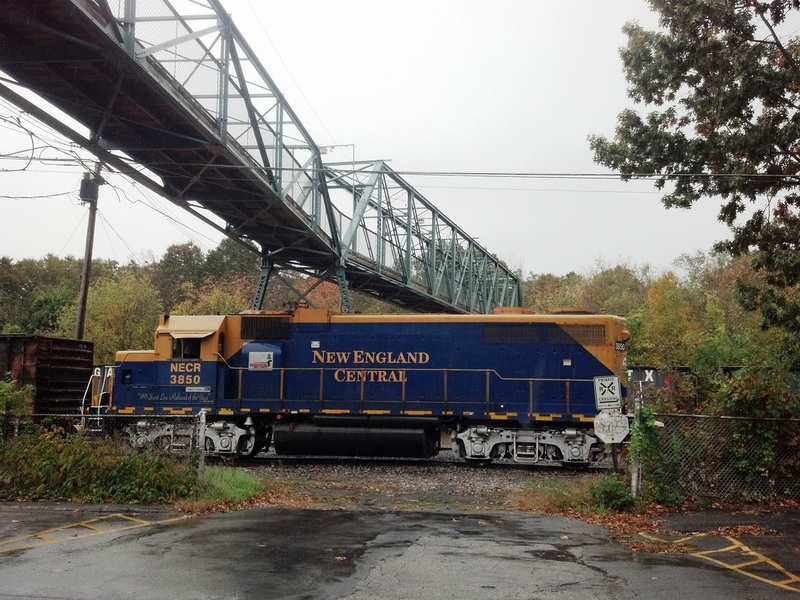 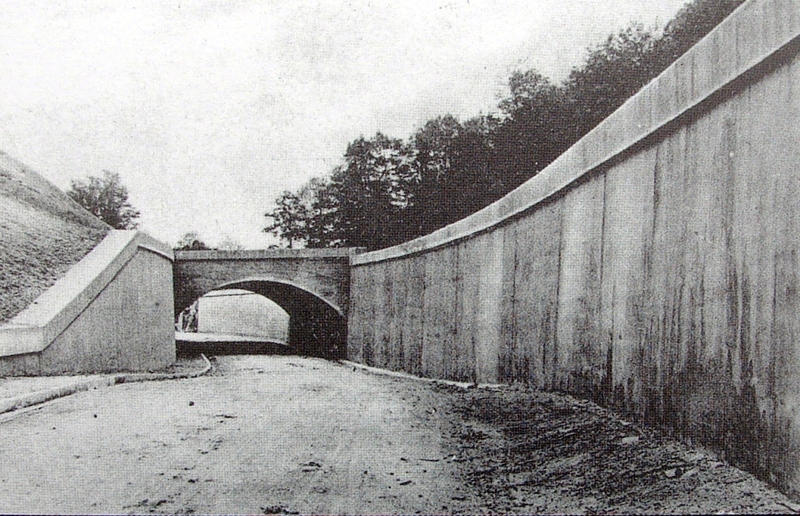 Probably discontinued in 1910 when the NYNH&H relocated this portion of the Highland Division. 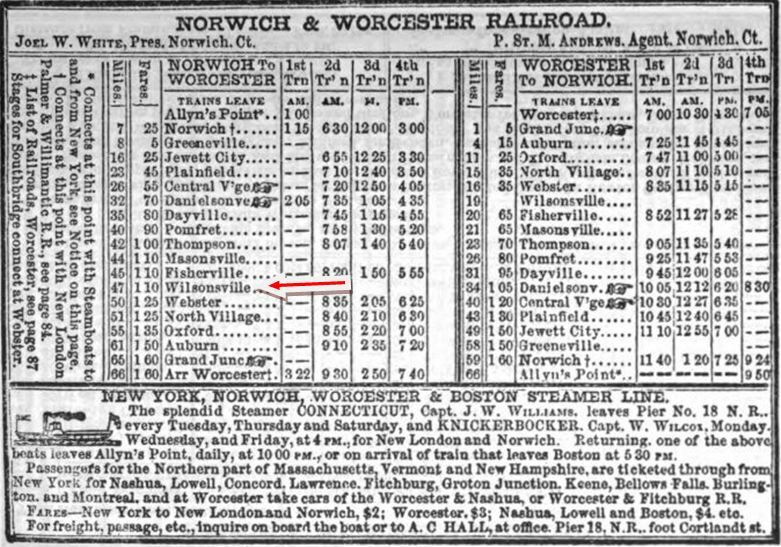 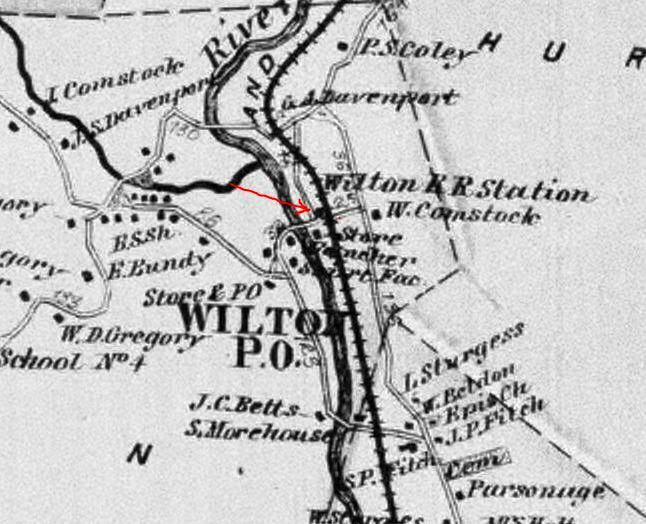 This stop in the town of MANCHESTER appears on an HP&F 1872TT at a point 1.625 miles west of BUCKLAND and 1.875 miles east of BURNSIDE. 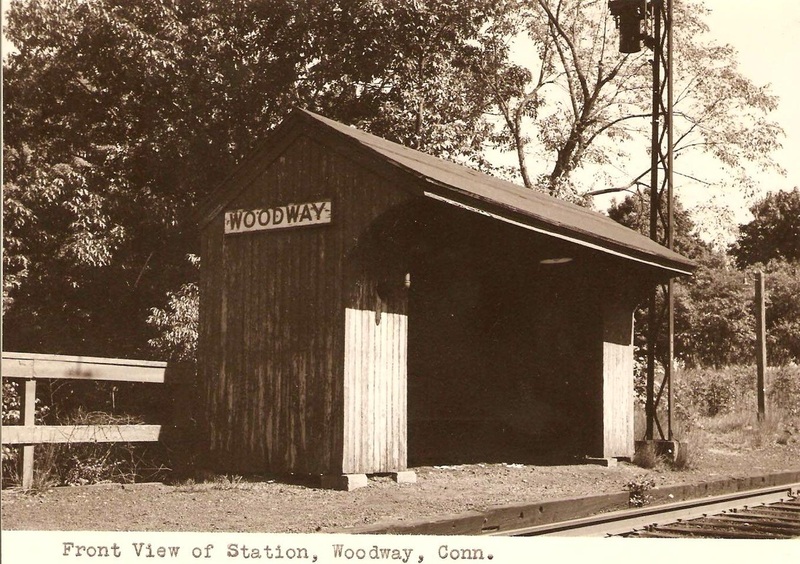 We have seen this stop called WOODLAND on a later timetable. 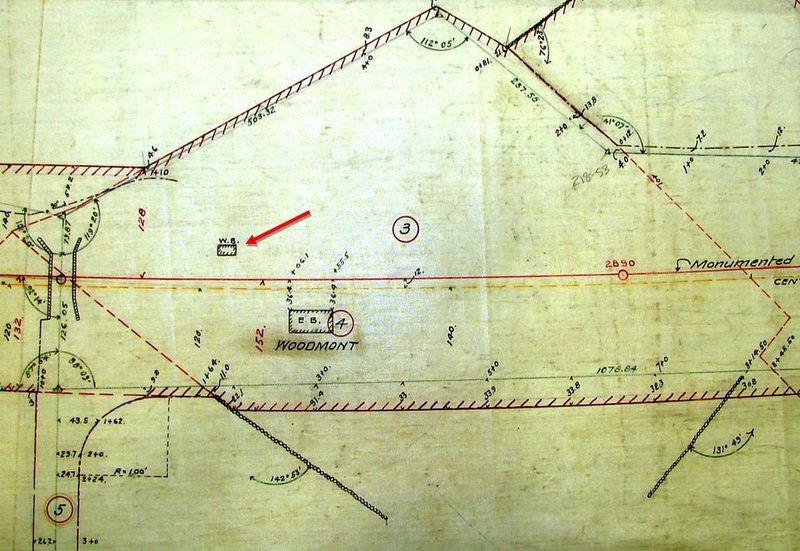 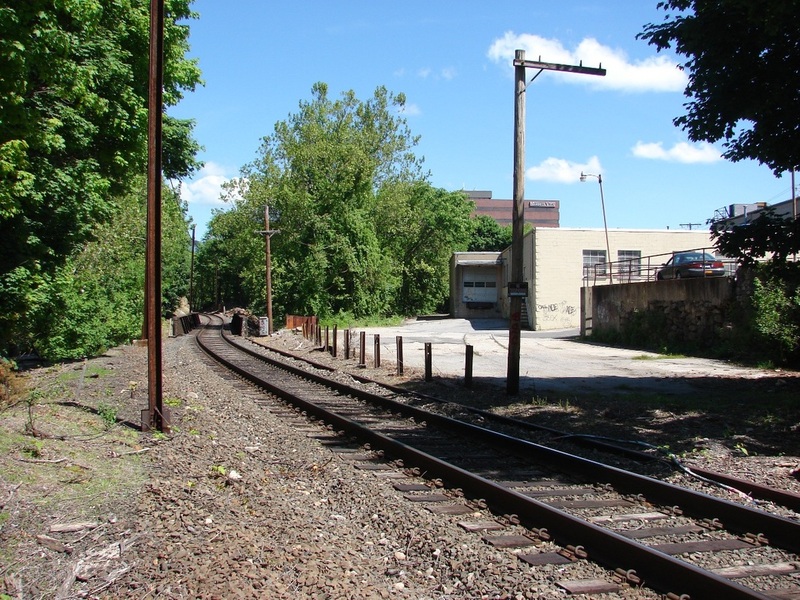 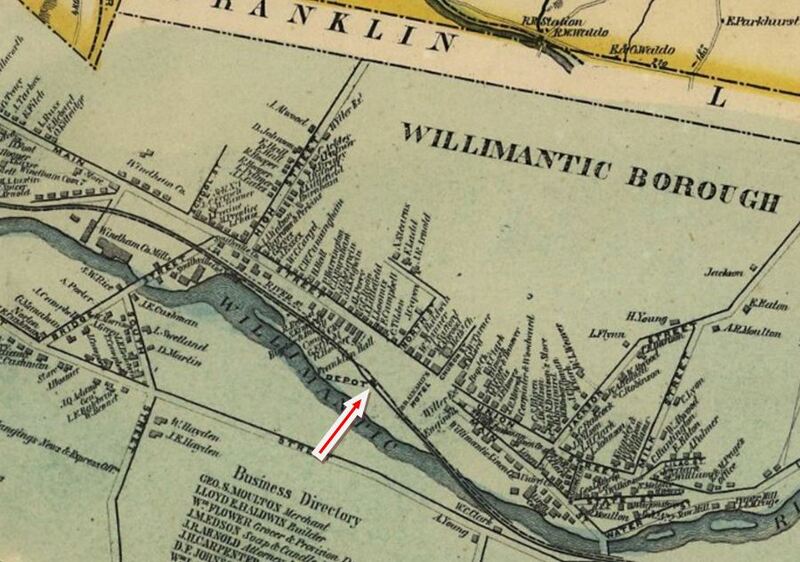 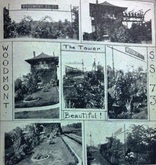 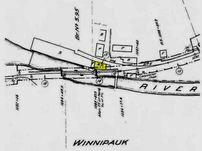 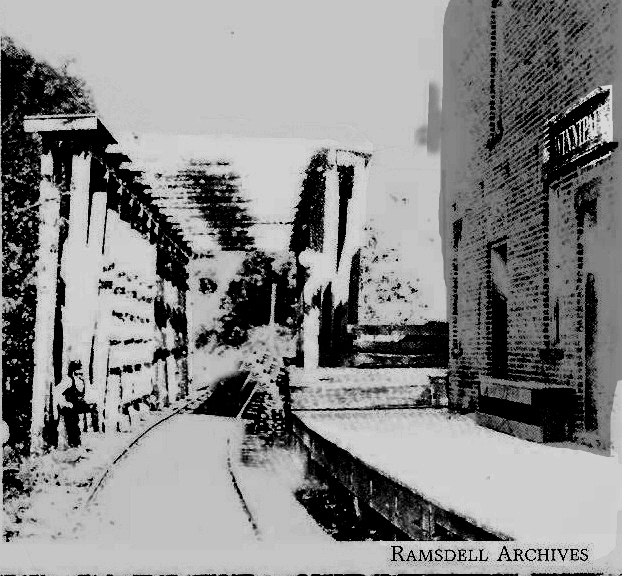 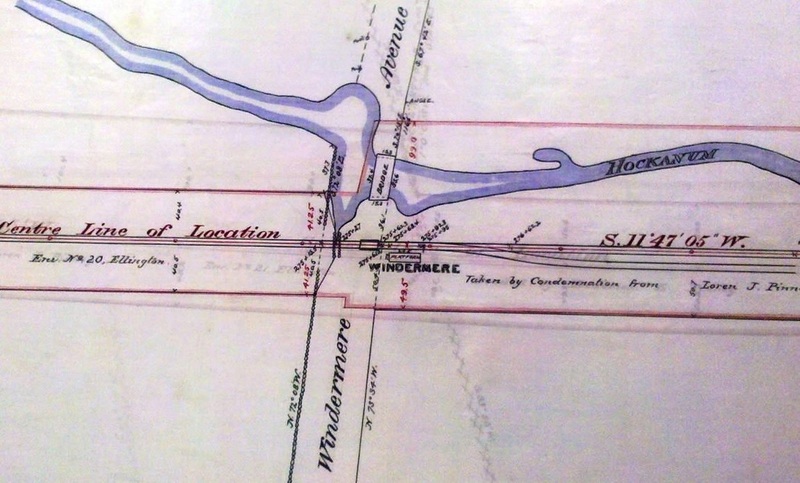 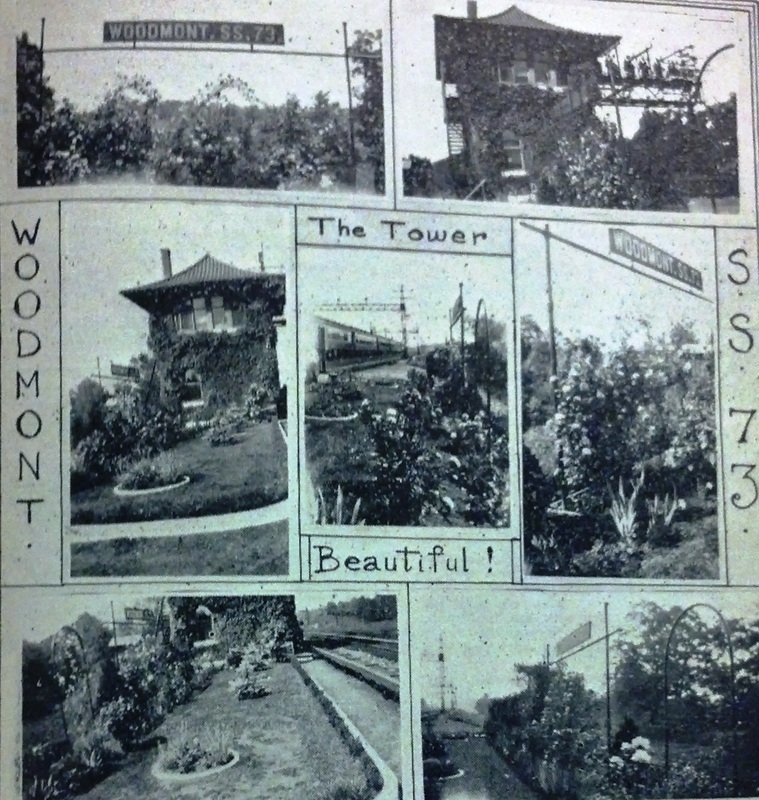 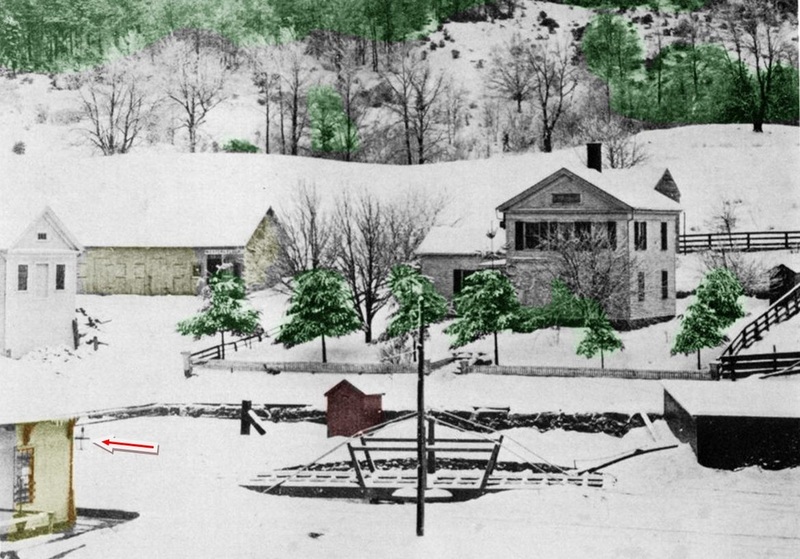 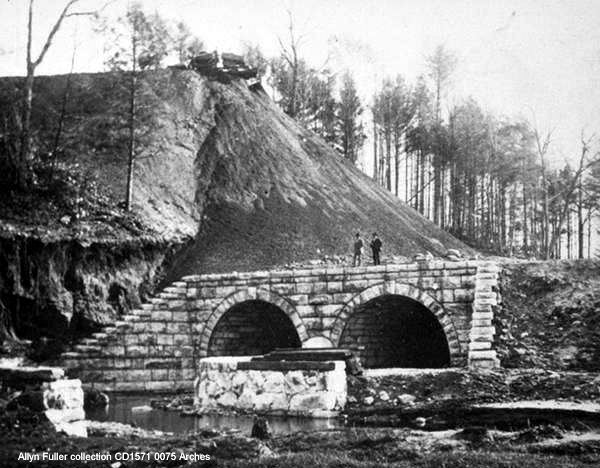 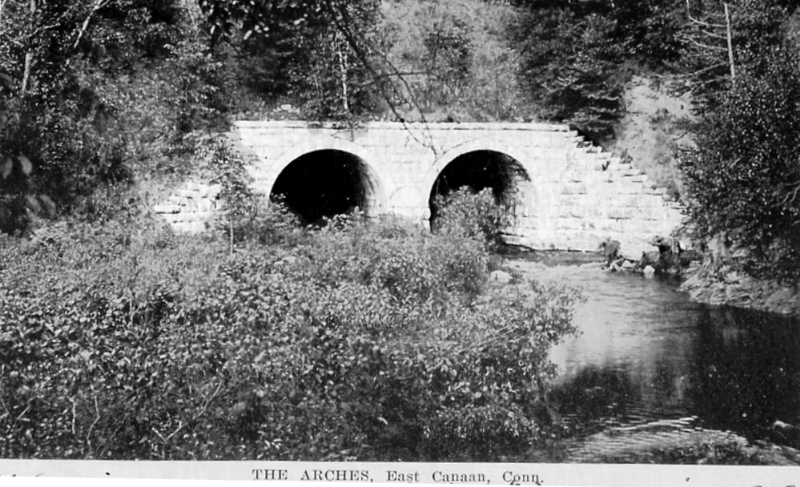 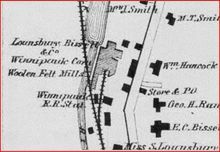 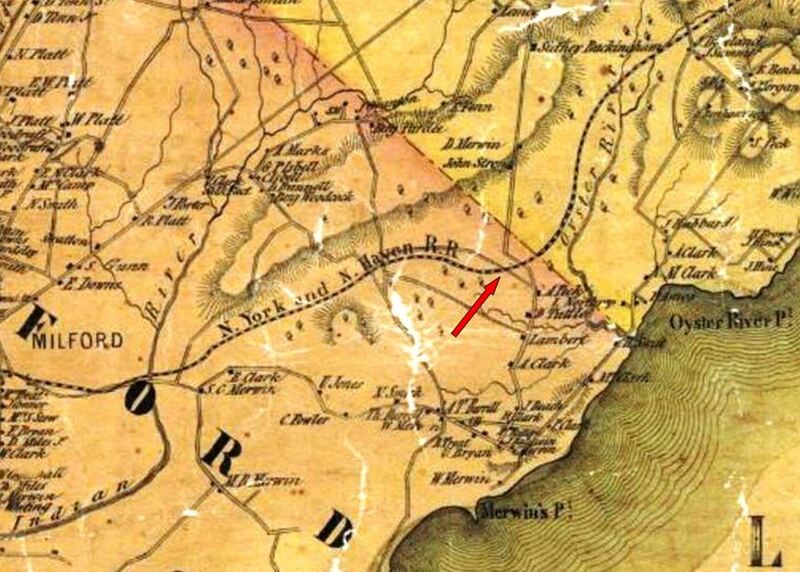 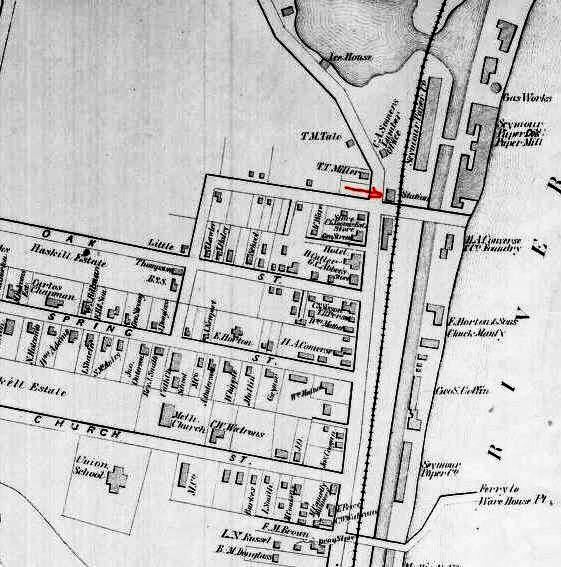 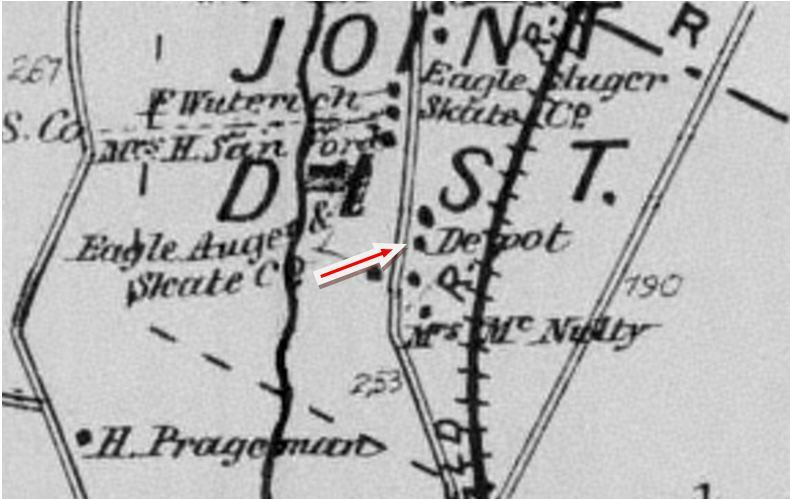 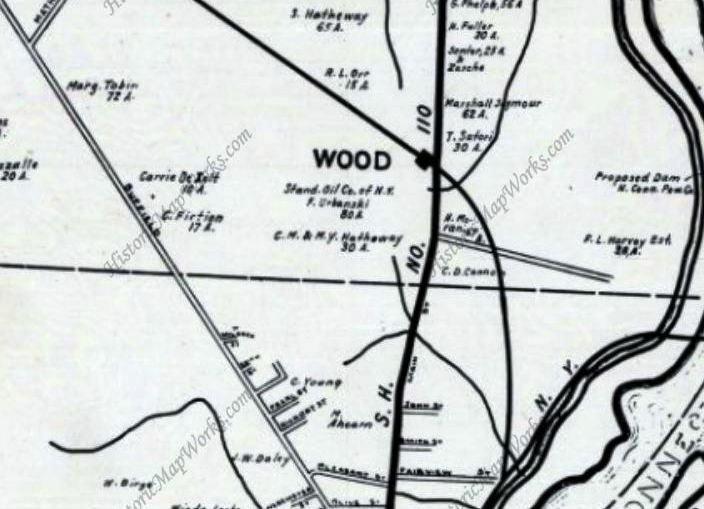 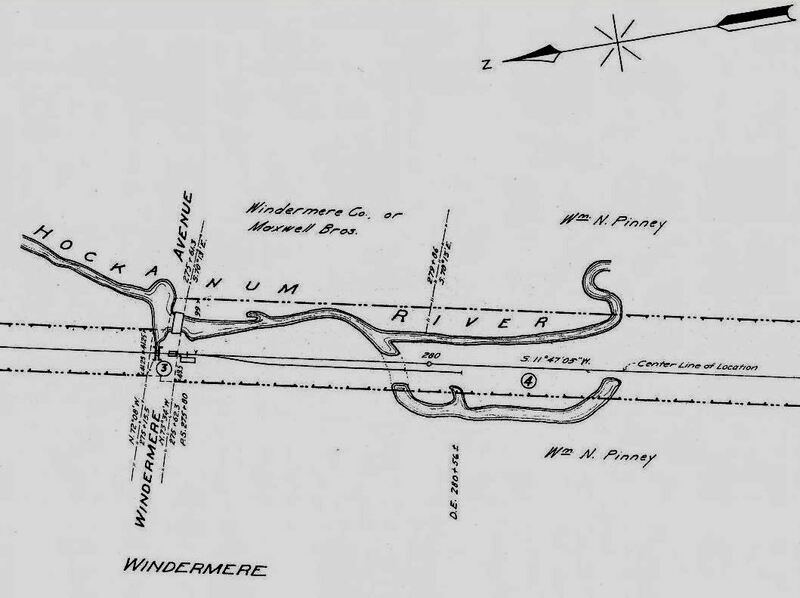 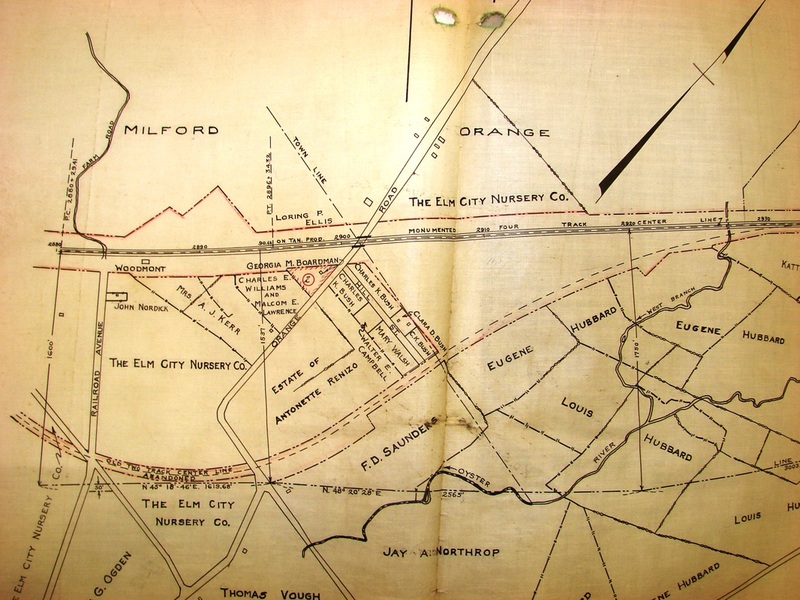 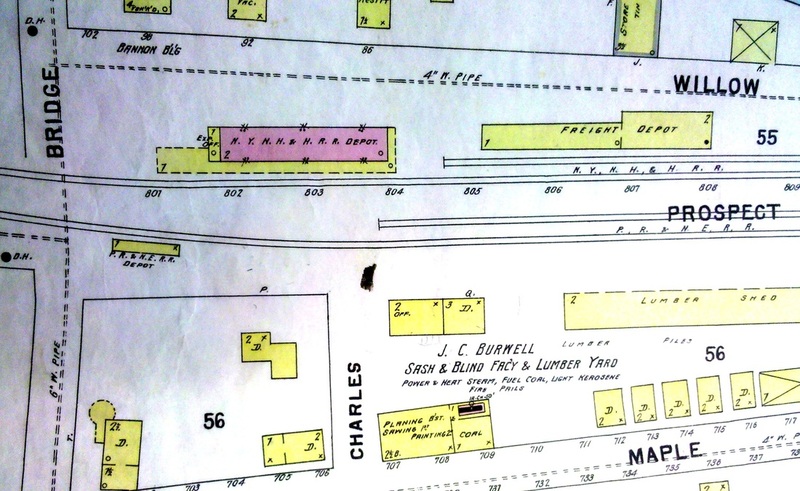 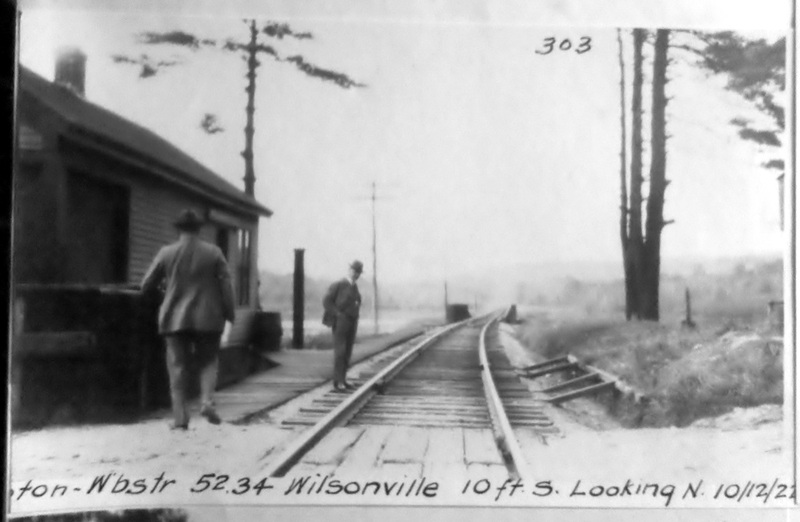 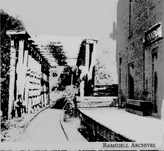 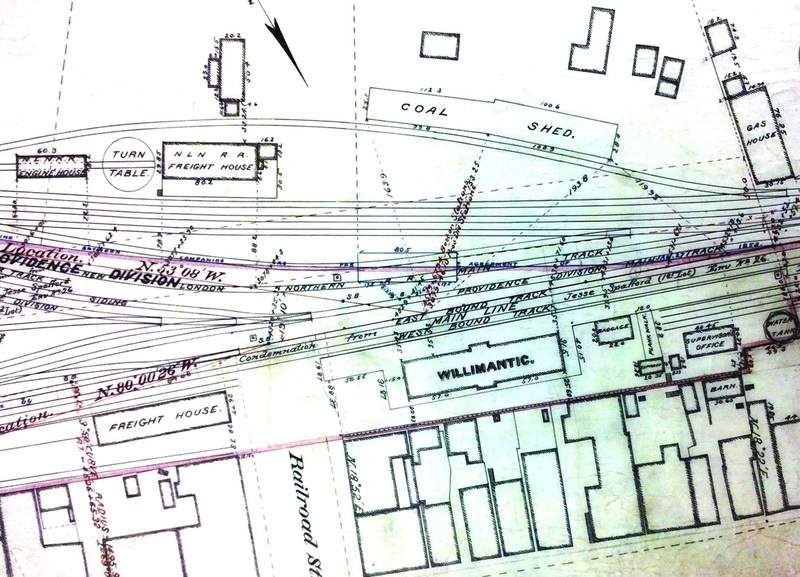 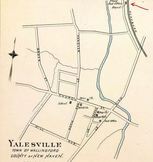 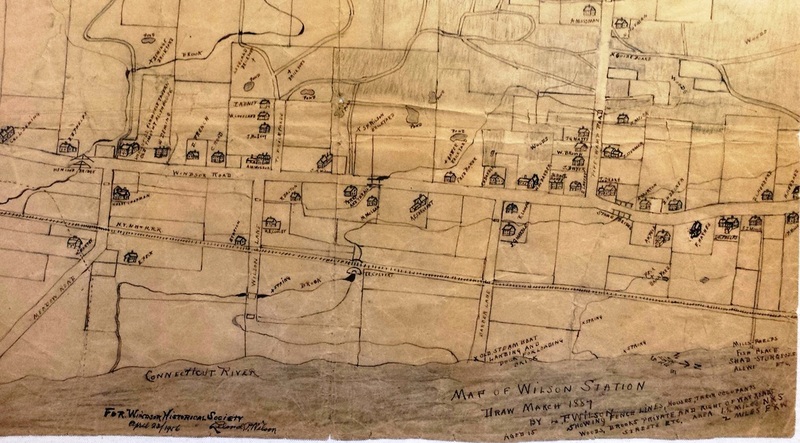 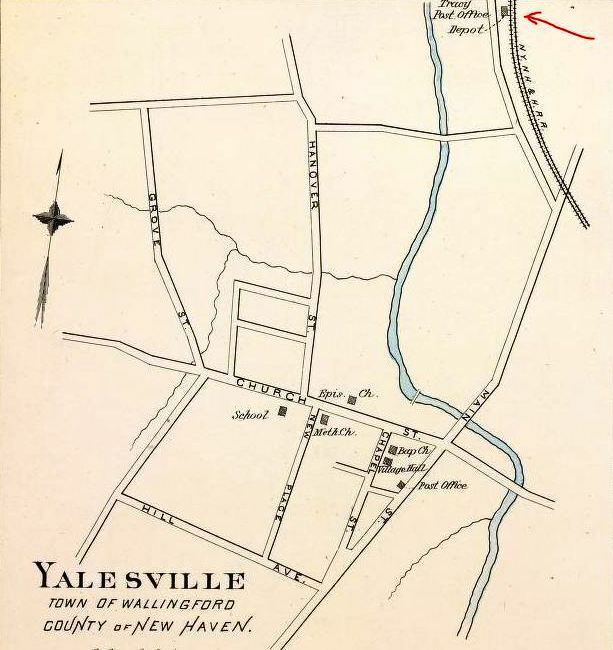 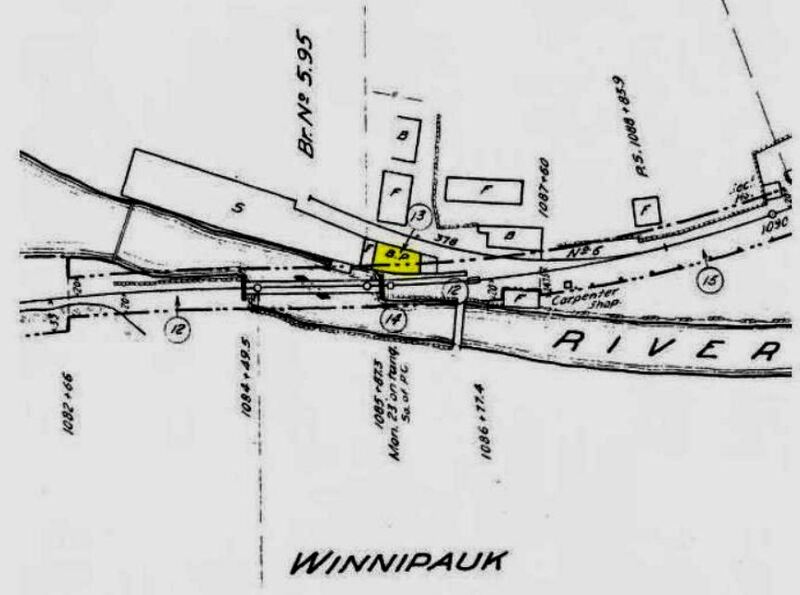 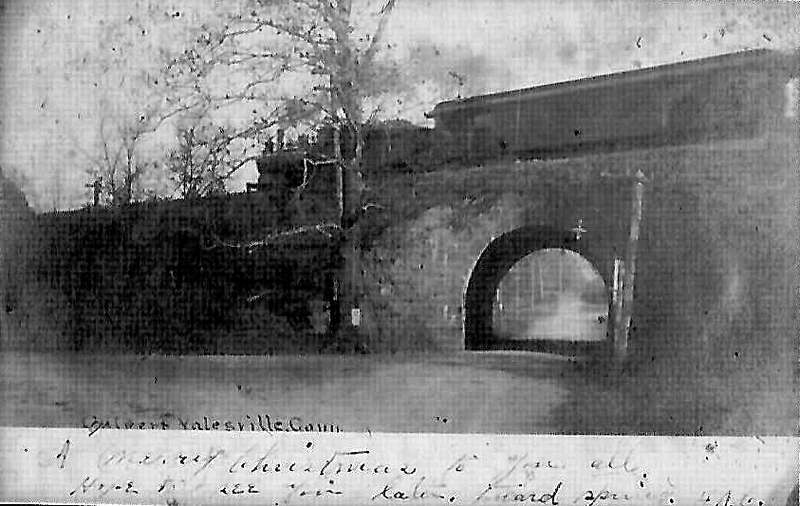 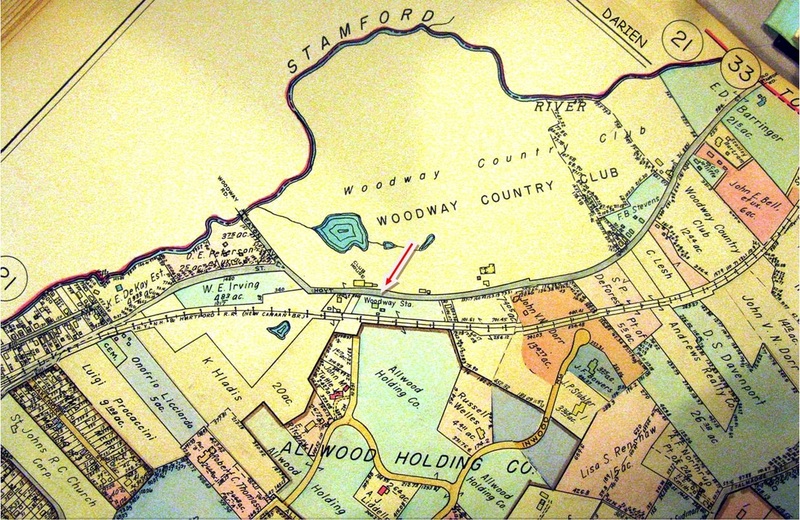 The val map shows a siding here with track to Woodland Mills in 1915 and the ca. 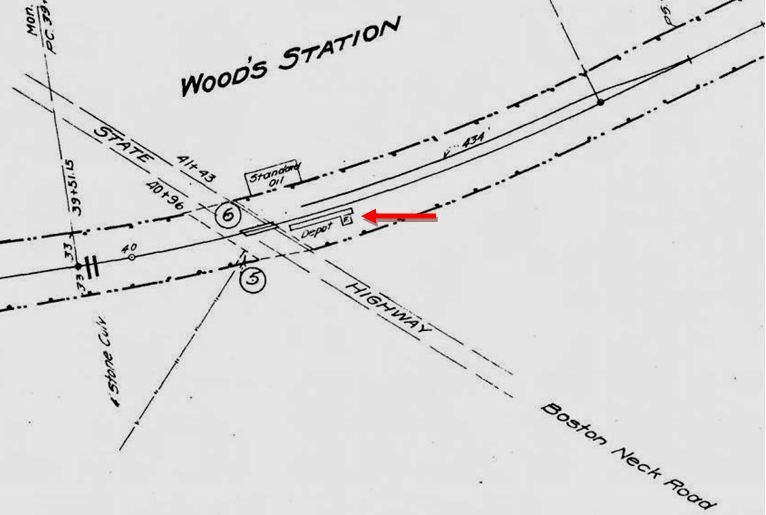 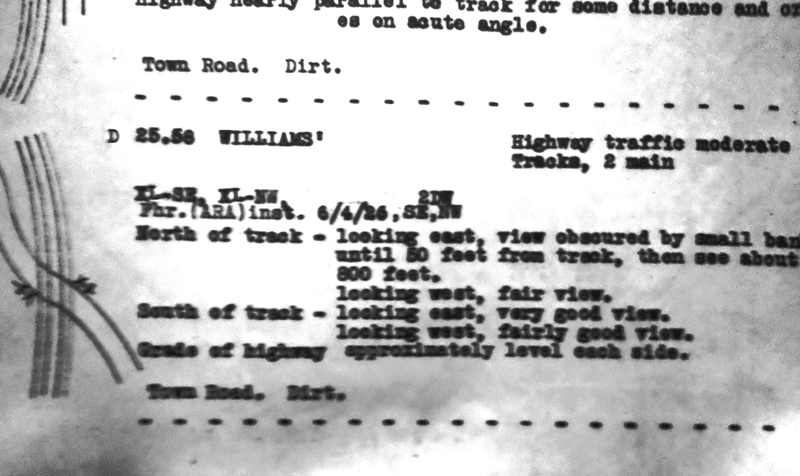 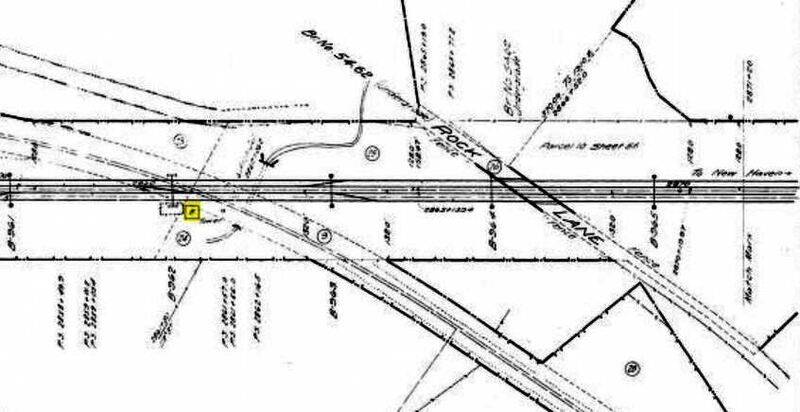 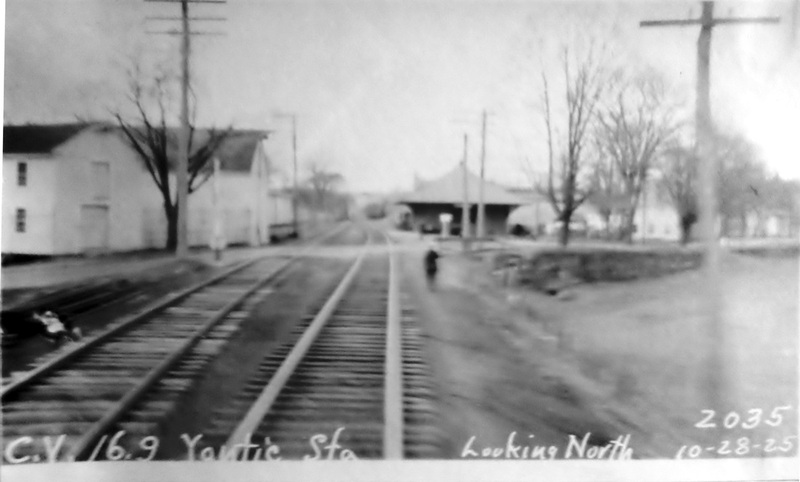 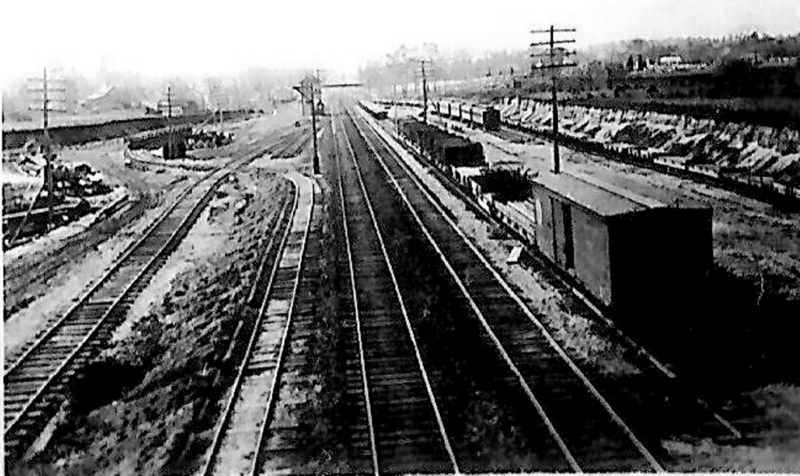 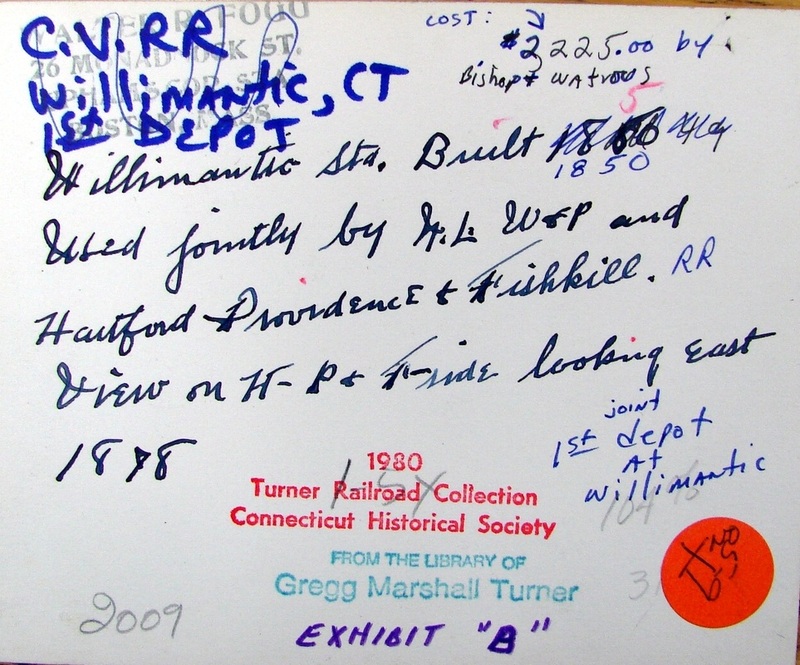 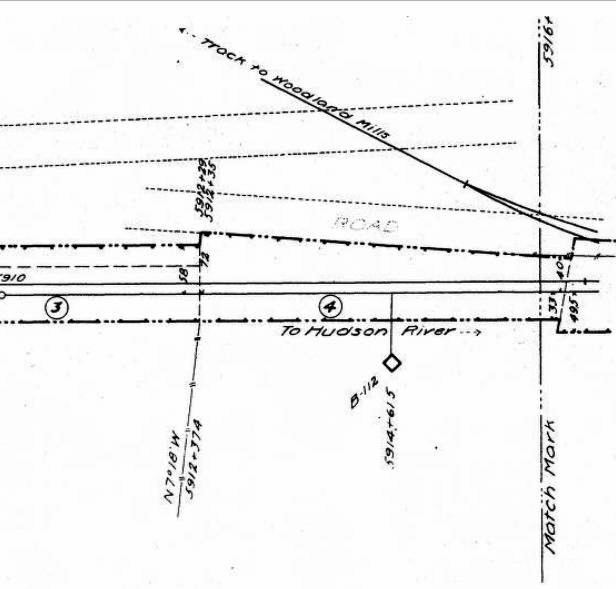 1930 PUC notes show no stop or station, just a grade crossing, here at that time. 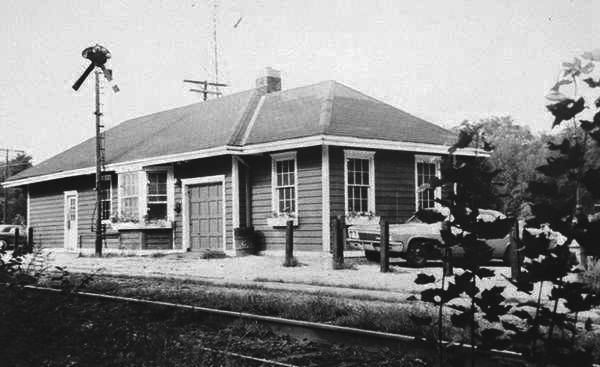 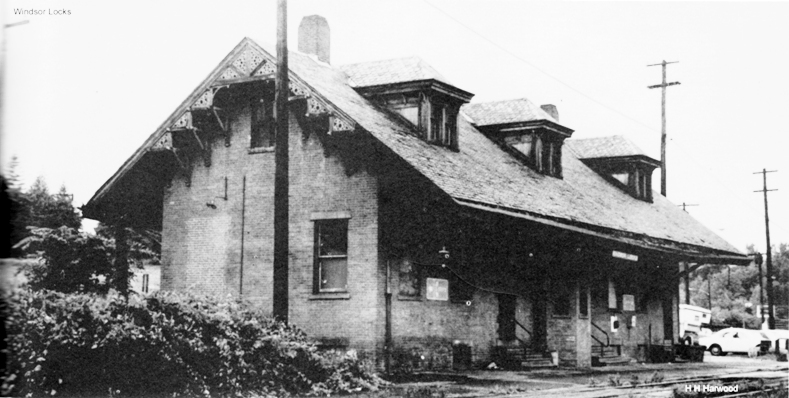 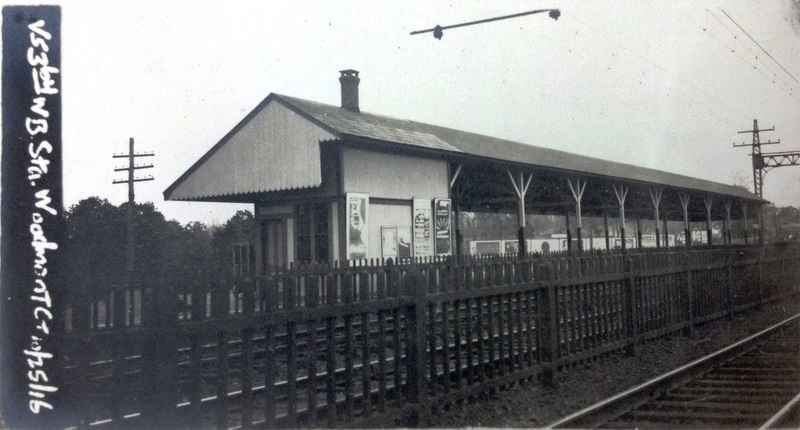 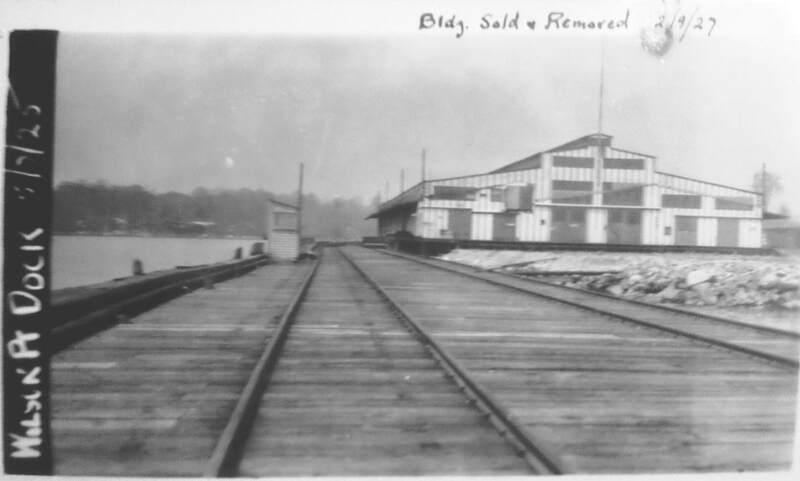 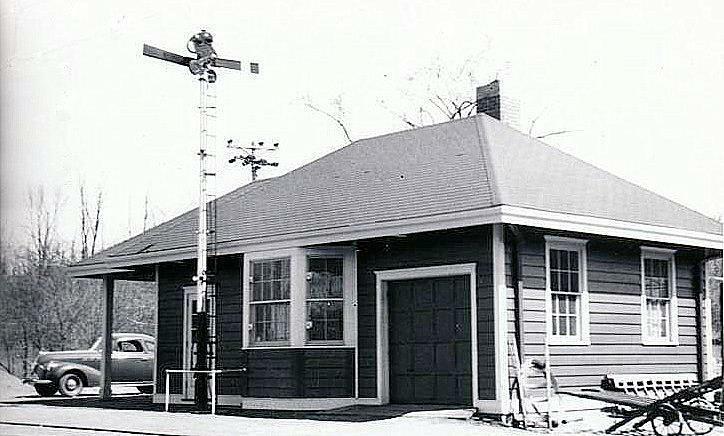 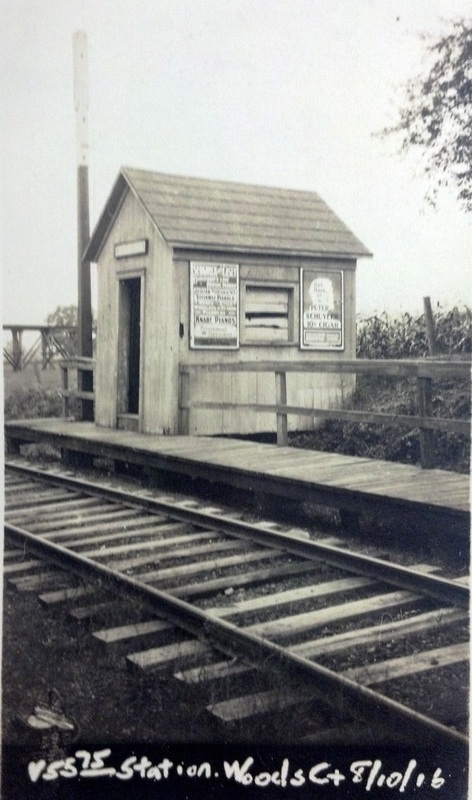 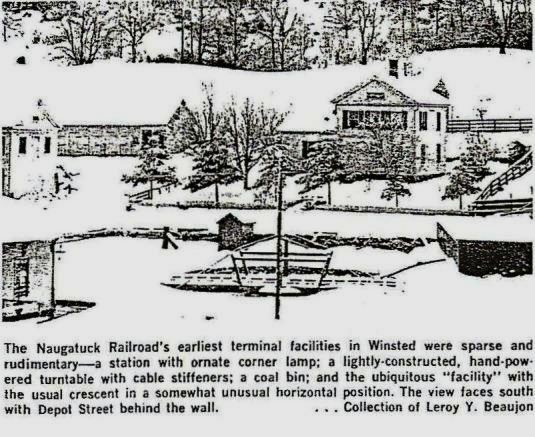 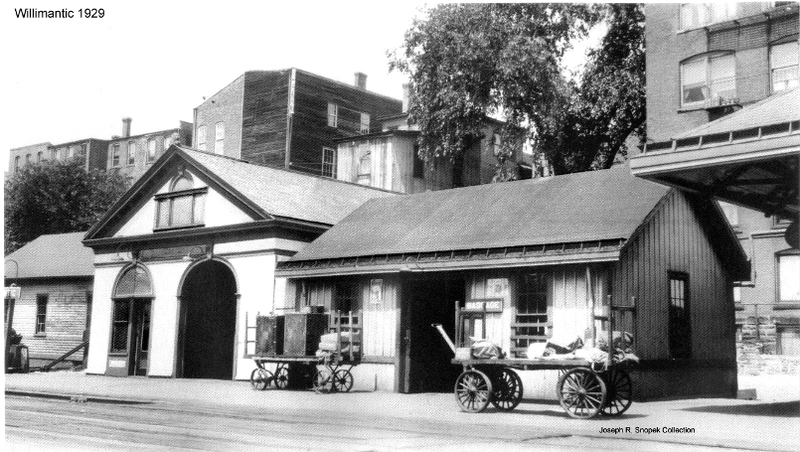 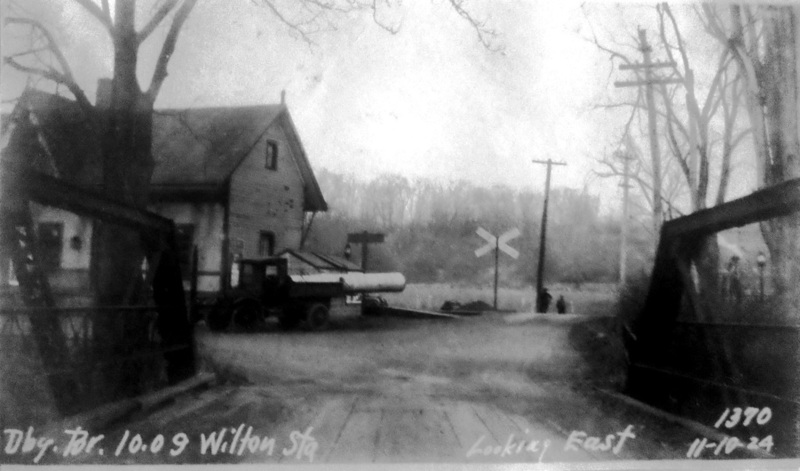 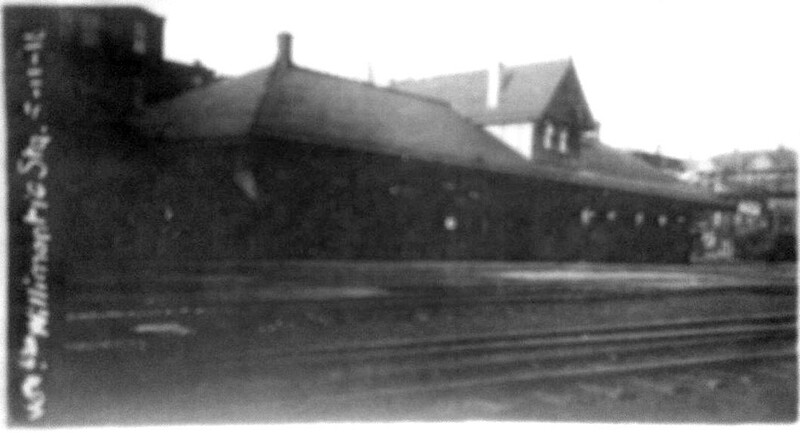 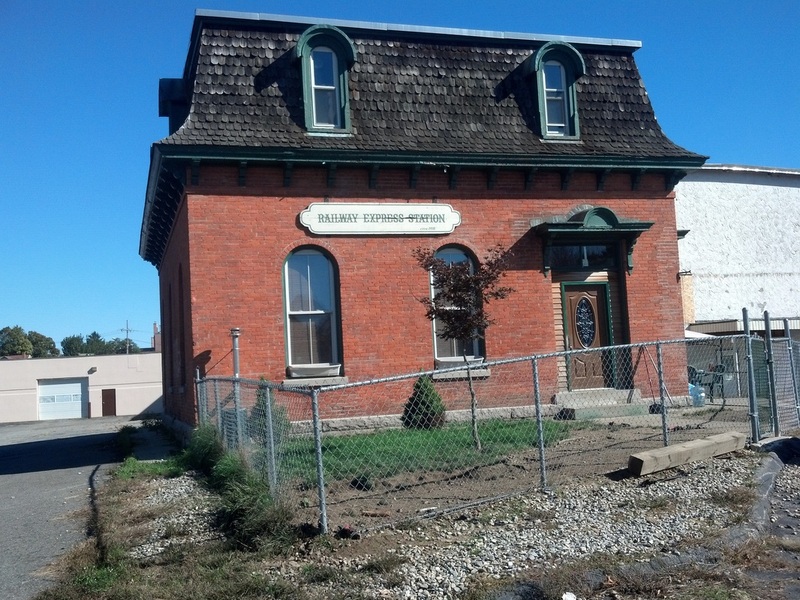 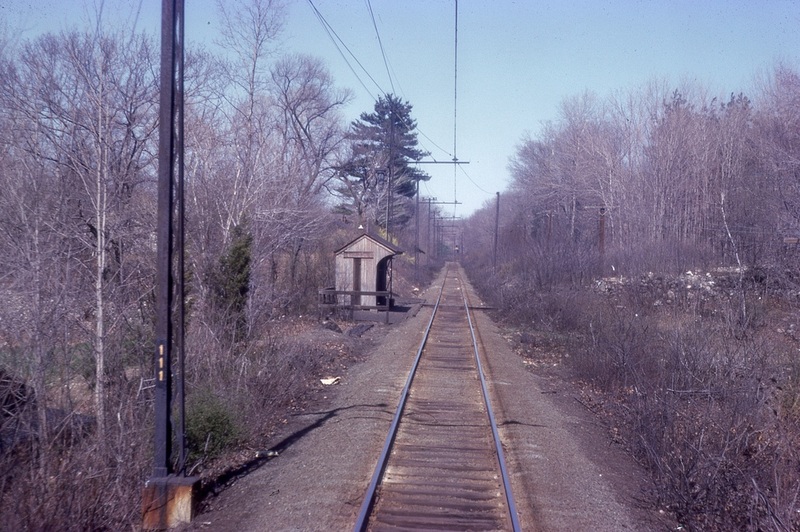 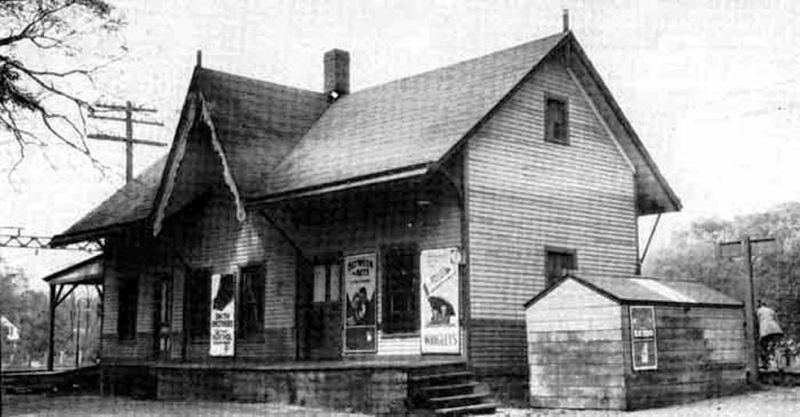 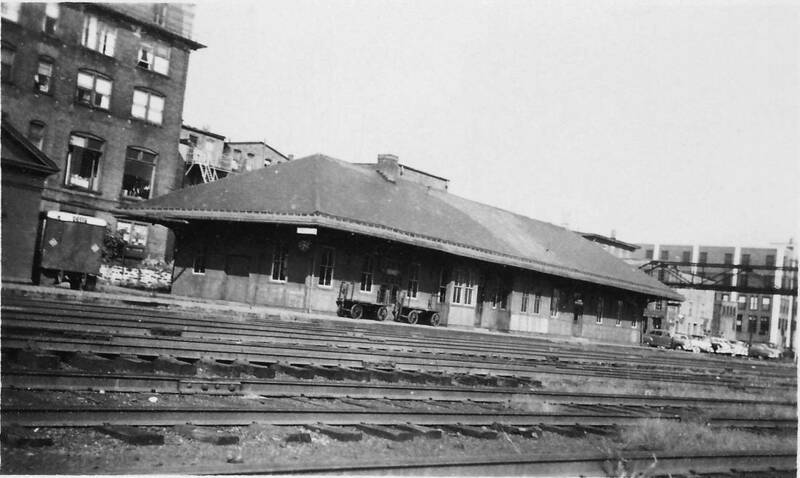 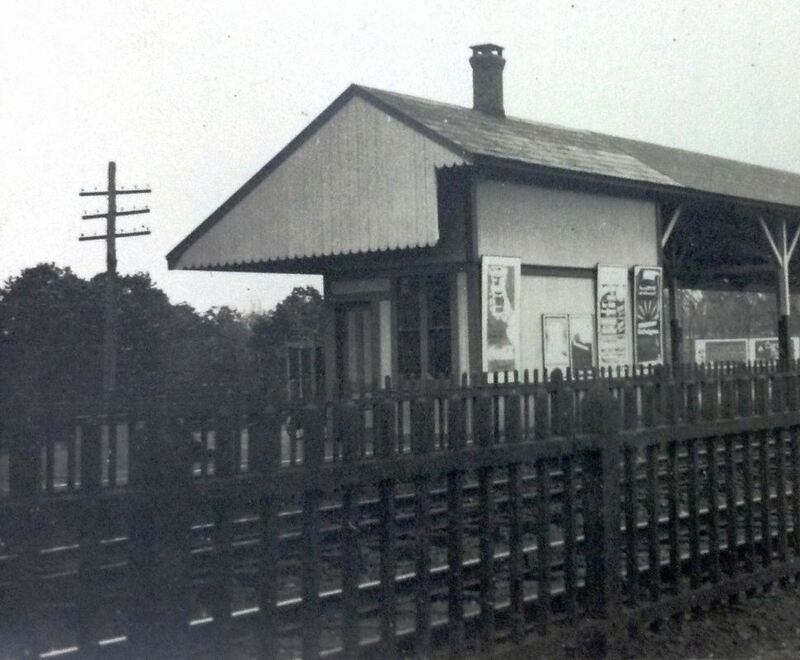 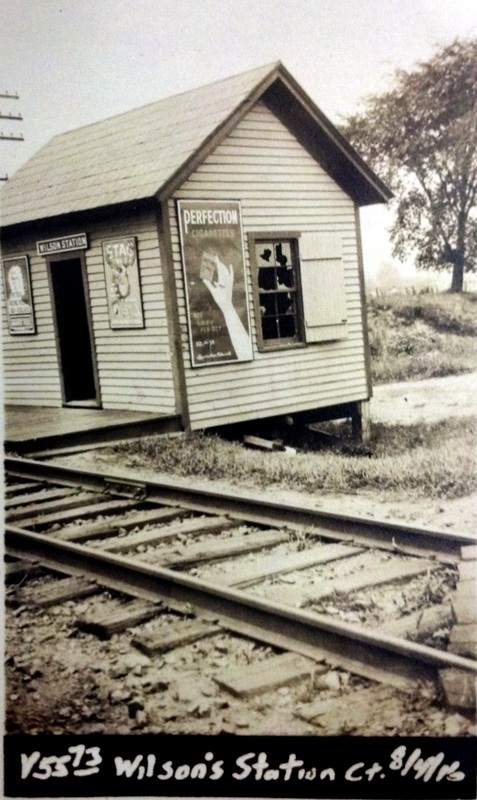 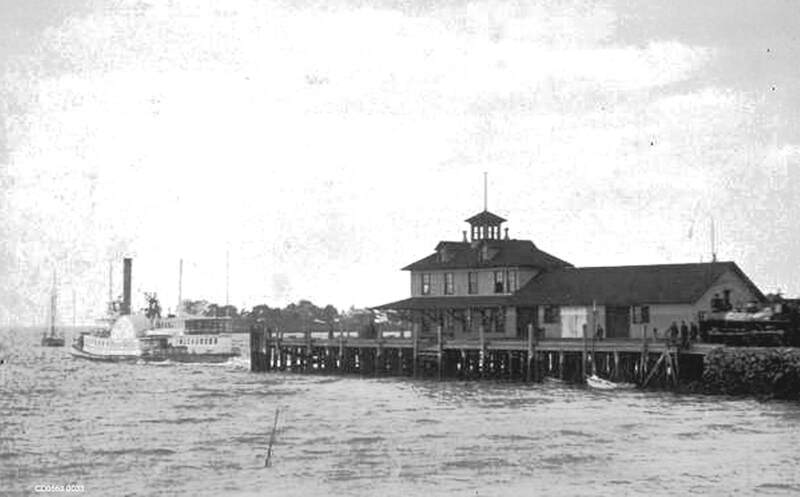 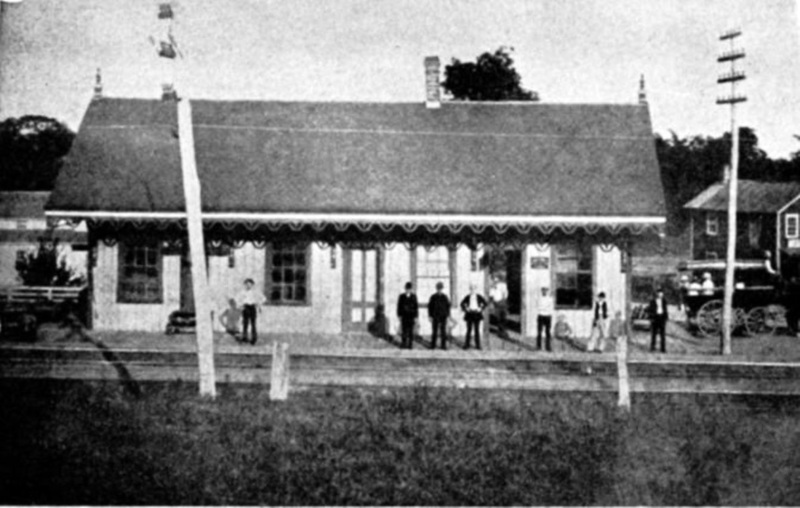 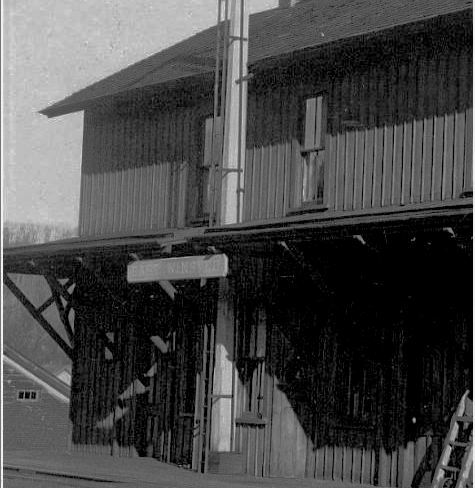 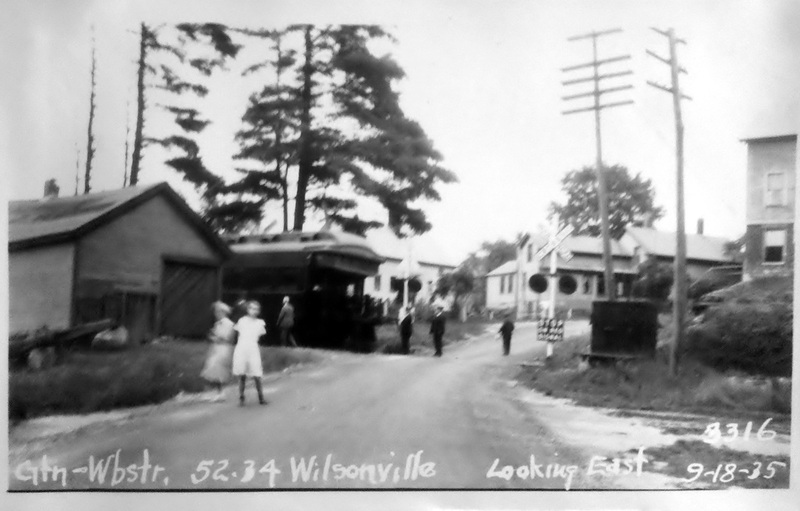 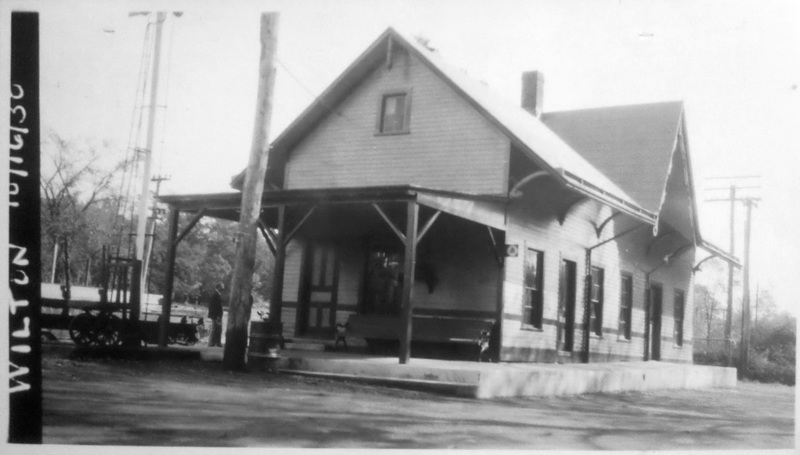 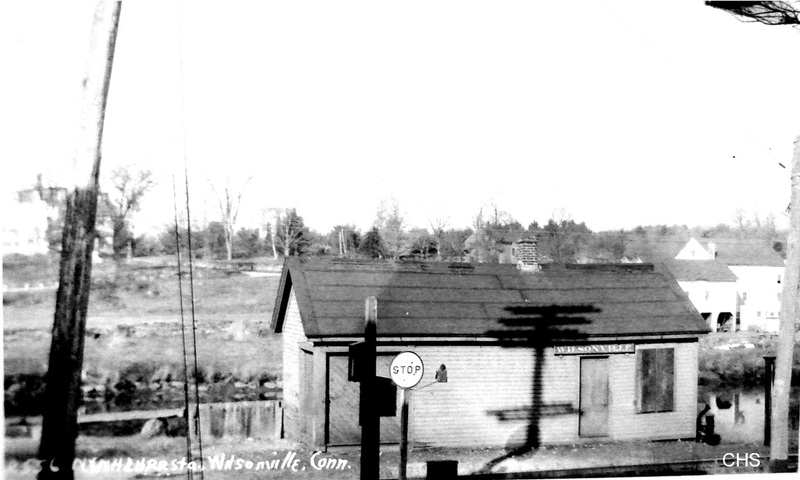 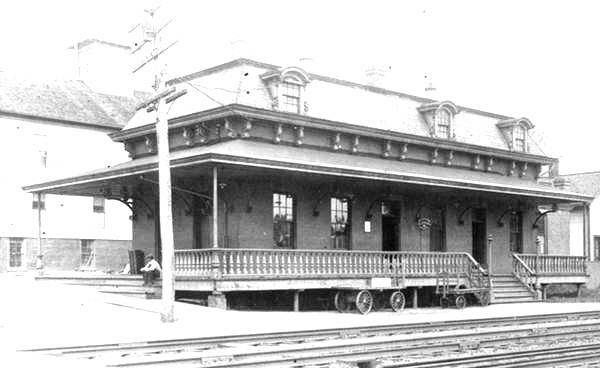 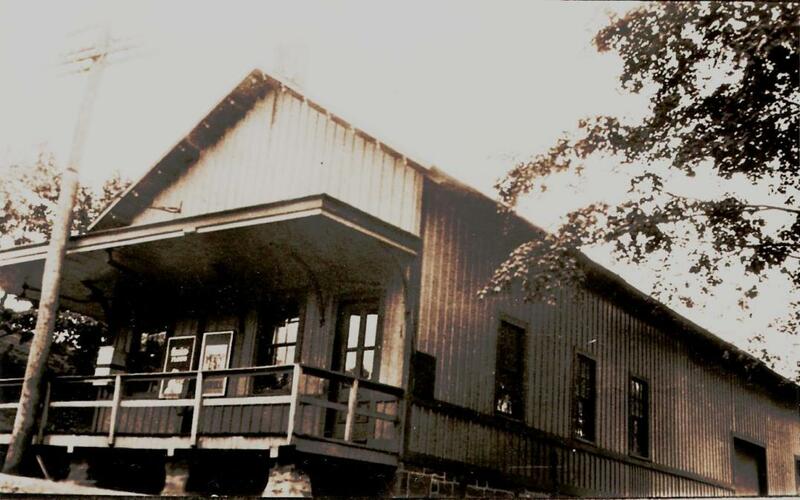 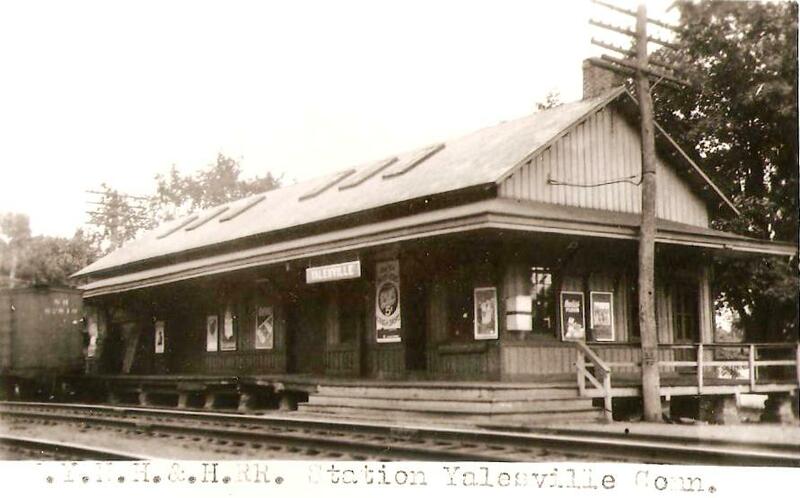 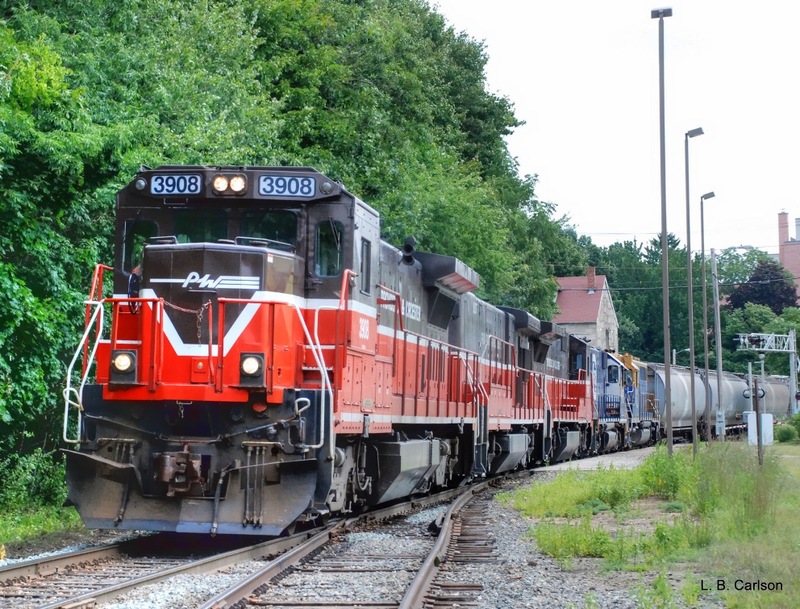 This was likely a combination station serving both freight and passengers. 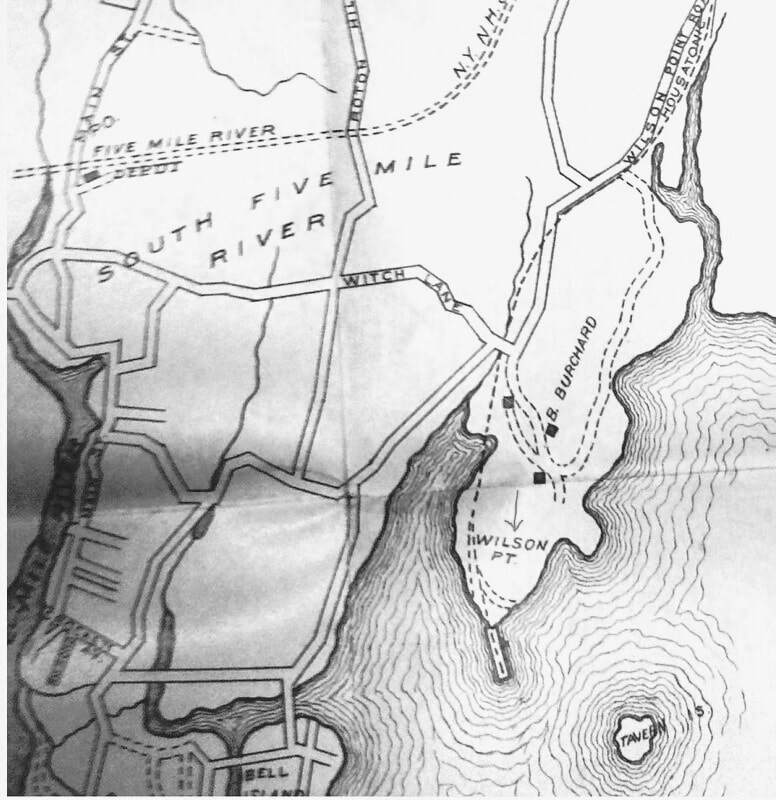 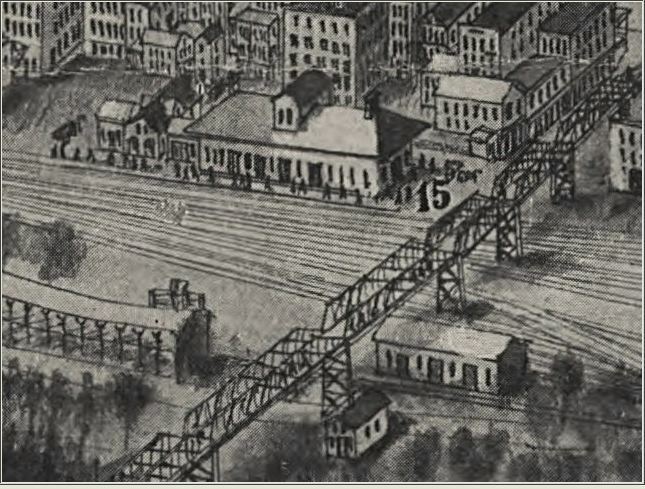 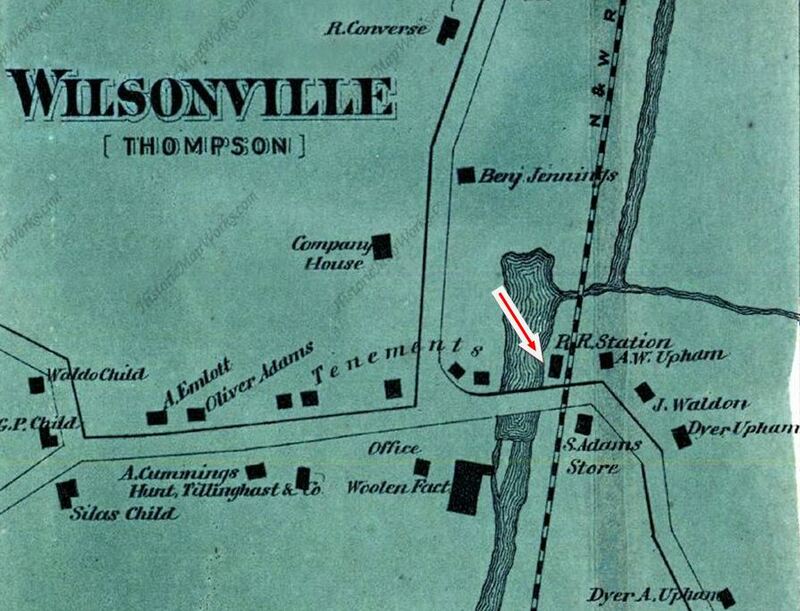 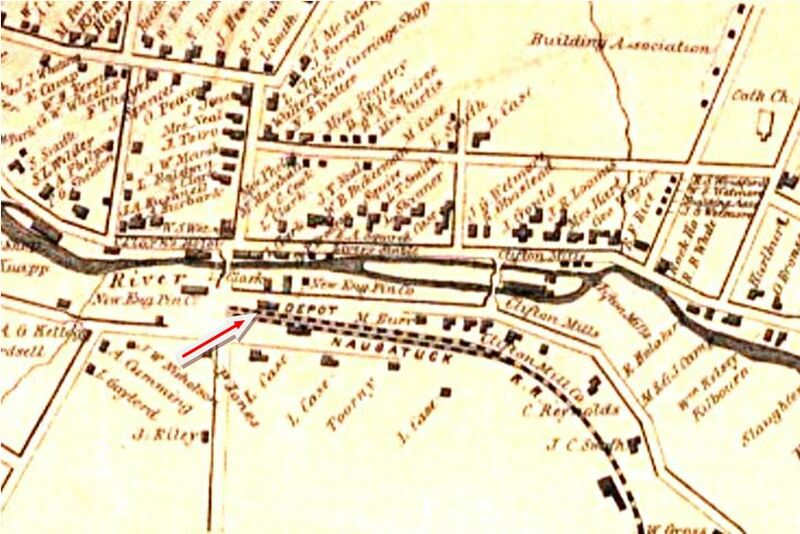 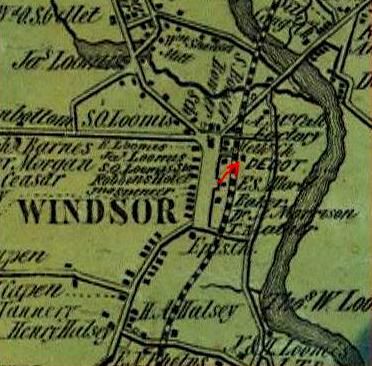 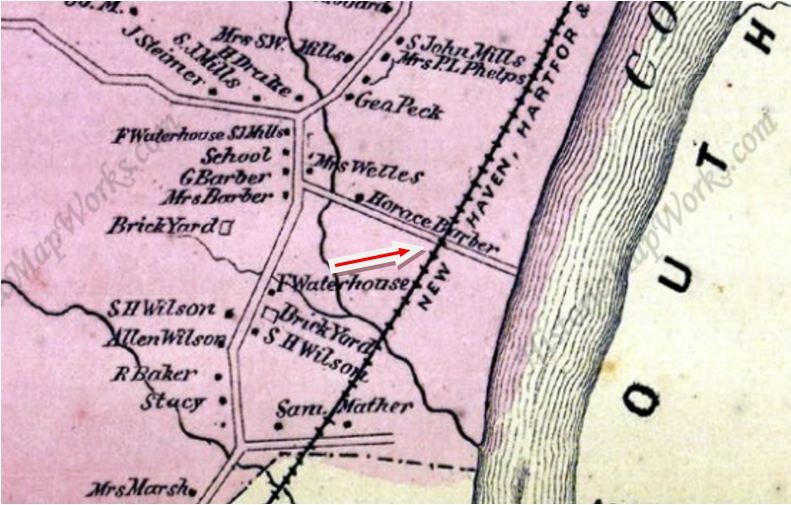 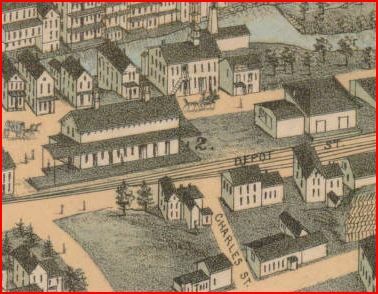 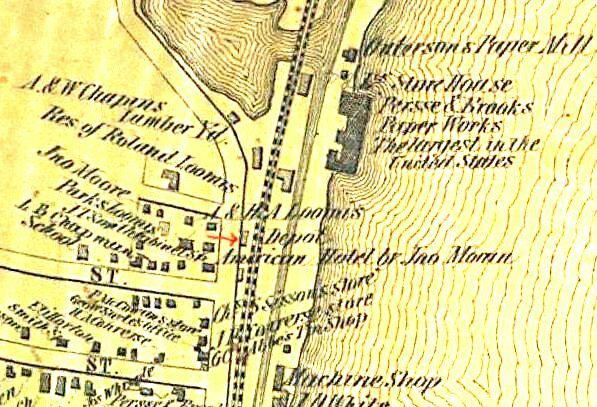 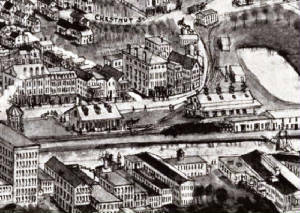 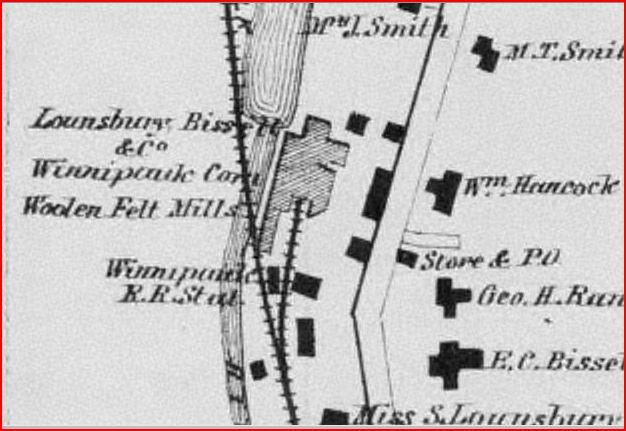 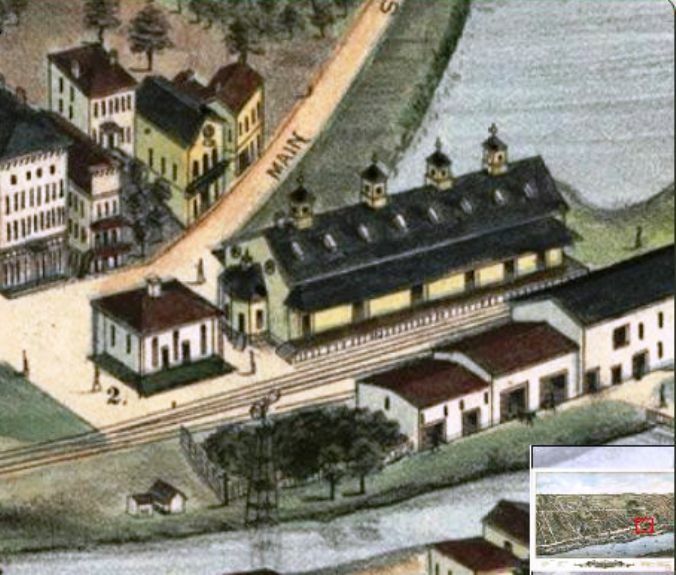 The location is seen on the 1855HC map. 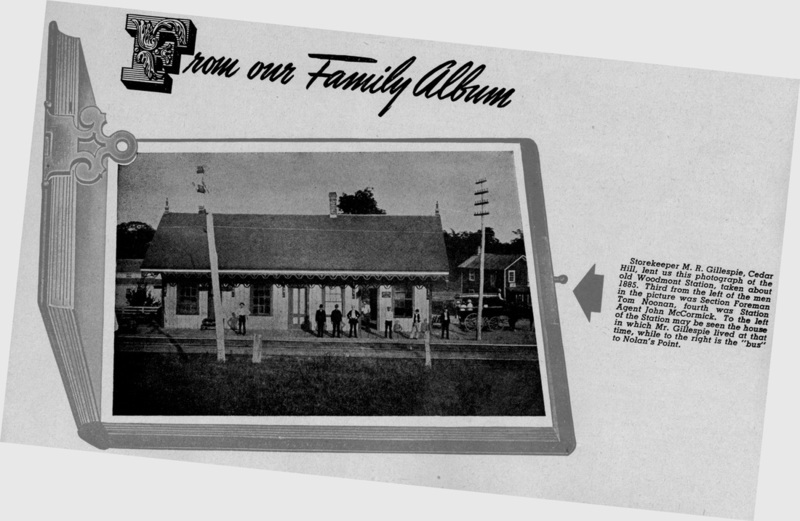 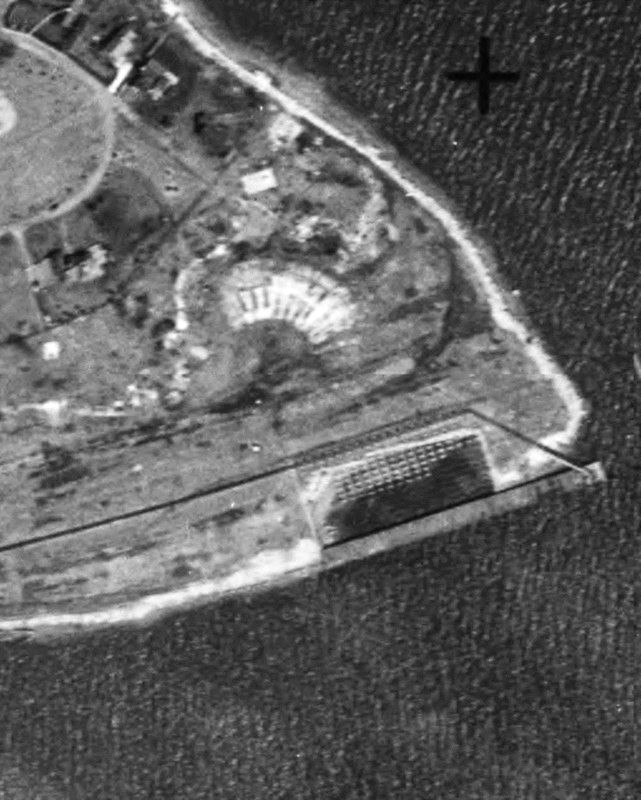 We have no photograph of this station.